Strong. ★ Affordable. ★ Flexible. ★ Easy. 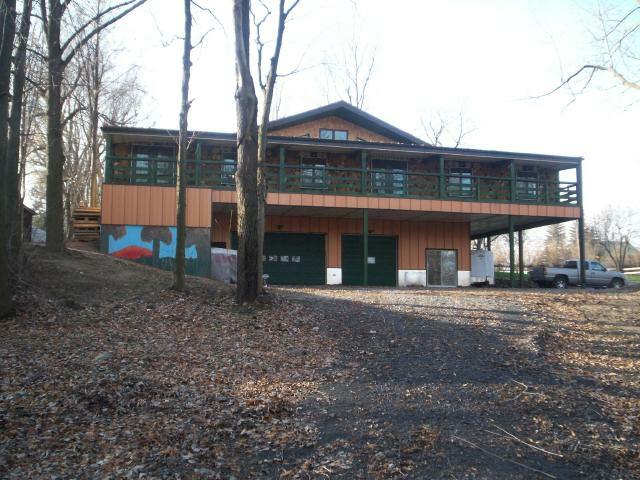 Home / Posts Tagged "steel building"
PRICE IS TOO HIGH? Price is too much? Overpriced? How can that be? They are the same model… or they are the same size. Or it’s for the same service. They are both the same thing… or is it? How can there be such a price difference? That price is way too high? OR IS IT? 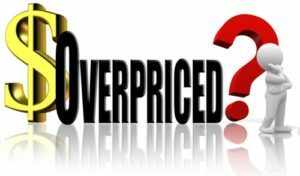 While it may not be so “obvious”, some suppliers may indeed have difference costs of doing business, more insurance, more levels of quality assurance, better service protocols, different values of their overhead – or even just different markup percentages as per their calculations for what they need to stay in business, let alone prosper some. 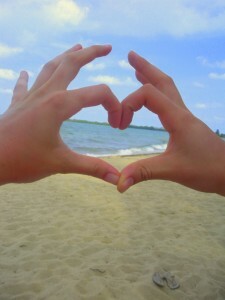 When all is said and done however — one really CAN NOT get SOMETHING for NOTHING. 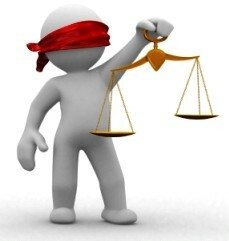 There is a natural law of business balance that will always be maintained. At least over time. If you are into “WIN-LOSE” deals – then the game becomes one of trying to (consciously or not) “outwit”, if not even “fool” the other into LOSING and you winning? Though less and less these days – it is a “game” that still gets played. All too often however, it is played at the detriment of BOTH parties. If you “take from another” to advance your agenda, you are definitely in a competitive mode — and, inevitably, a time will come when either the cards will be reversed, or sooner yet, even the one you contracted with – may just not be able to (satisfactorily) fulfill his/her obligation or promise. And then, NOBODY wins. This is not naive. It’s part of our natural laws. The Golden Rule. What we sow we reap. What goes around comes around. If one is of a CREATIVE perspective – then it’s more about COLLABORATING TO FIND THE BEST SOLUTION for the product or service need, with a WIN-WIN agenda; while staying within the allowed resources (funds available), and also taking into account as much of a “longer” term perspective as one can. Cost over time must be part of the initial cost! For example, cost/value changes like: after the sale/service maintenance costs, the appreciation or depreciation in value of the asset, the actual use value (which may not be quantifiable per se), the profit from use value if a business of any kind, any future “changes” costs, insurance costs, “recovery costs”, etc., etc. If you don’t do, even a bit, of that exercise analysis – you may very well be in for some fairly large “ADD ON” costs in the future — and those are inevitably and effectively PART OF YOUR (accrual) COST “TODAY”! Over and above those considerations, one must be as sure as one can be that the comparison of quality, features, benefits, between your choices, are indeed “apples to apples”!!! It’s easy to say that yes – this 4 wheel drive pick up is $25,000$. And that 4 wheel drive pick up is $27,000, so I’ll buy this one. But are they really the same? With regards to a building: Is a 40 x 60 building going to be the same price regardless of what it’s made of? How it’s made? For what it’s made for, or even by who it’s made? etc.? There really are dozens, if not hundreds, of “options”, and “features”, and “benefits” that you can put in, or out, of a building package (initial) price offer. And in each of these they may, or may not, be a SERVING benefit for you. If you don’t need to have enduring strength to withstand the wrath of our sometimes harried climate conditions – then maybe you don’t have to have that pre-built in and therefore pay for it! If you don’t need to have things designed in to make life easier and quicker for you or your builder when you install, refine, modify, or even later upgrade, retrofit or remodel, then why have those features priced in now? These can be the very reason why the prices differ. Furthermore, do you know the value or even the potential VALUE that each special feature has? If no, is it therefore really MORE EXPENSIVE? What are you comparing? What if certain options can actually save you hours and hours of time in install? What if it saves you hundreds if not thousands of dollars in extra materials, or hired hours; – or what if they can save you hundreds if not thousands in energy costs? Making it less costly a bit later on!?? What if it saves you unnerving, debilitating stress, unfathomable worry and even heart ache! What price do you put on that? This is not to say all suppliers or service people will not have YOUR overall best interests at heart. From experience one can say that at least half will, — maybe even 75% if you are optimistic! But the challenge then is which 50 or 75%? How will you know? How can you tell? One of the BEST ways to get VALUE for your hard earned money and time — as well as peace of mind — is education… information. It almost always is worth the investment of your time. Be an informed purchaser. And, if you can find it, it’s even better if you have a TEAM you can trust, who has experience, is passionate about their vocation, loves to do what they do and is sincere about being of selfless service. And as a bonus, if you do have that kind of support – that will surely make a huge difference in your overall stress level and well being —- now, how much is that worth? Before I even start this blog post – I will admit that I AM BIASED! I was raised by parents who demanded I be truthful, honest. They only wanted the BEST for me – but also taught me that I HAD to BE and DO my BEST to earn it. They showed me what it looked like to be a good steward, to NOT WASTE, to do things right and do the RIGHT thing. They encouraged me to THINK, to not just TAKE things as fact just because someone said so, but to do MY OWN homework and research. They showed me the importance of making sure the things meaningful (to me) in my life had value, integrity, durability, quality and purpose; from the people I could choose to be, work , live and play with to the “things” I choose to own, operate, use, share and/or have stewardship over. So quality, value, durability, integrity, flexibility, adaptability and sustainability, just to name a few, would become constants in the measuring of whenever we had freedom to make choices. And so goes with the products as TEAM PERKA, that we offer, the teammates we attract, the service we aspire to give, the care with which we undertake life’s moments with. So in this biased sense we feel the PERKA BUILDING’s ‘system’ – offers the highest value as an investment, the most strength for withstanding the elements, the best affordability over the long haul, the most flexibility to adapt to any building need now, as well as being easy and simple to deal with for any modifications, finishing, maintaining be it during the build process or even months, years or decades in the future. Those are the sort of things we hear that are important to builders and building owners alike. Take the RIGID frame (plate beam) type of building design. It’s own name pretty much says that they are not going to be very “easy or flexible to deal with”. And boy oh boy has that been our experience. 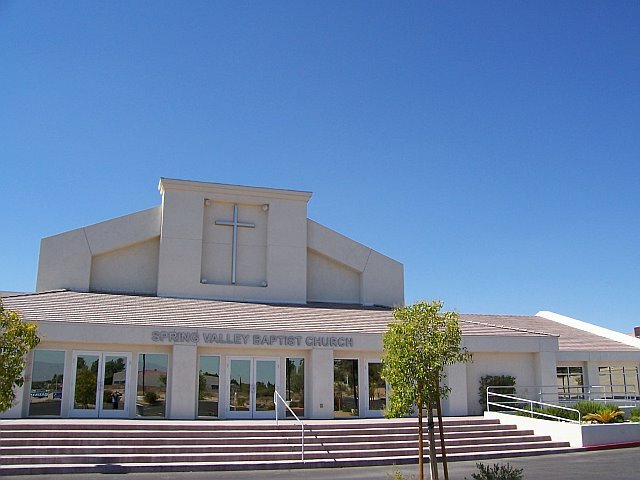 Despite being totally committed and convicted about the many many great things in a hybrid building, we are not always able to convey the information, experiences and testimonials needed to help some folks fully understand. So we still have looked for the best, most affordable “rigid frame” type building sources so that we could still offer this alternative to clients who still want to deal with a company that has the integrity to stand behind their commitments and obligations. In the couple dozen or so Rigid Frame buildings we supplied over the last few years we can say in total honesty that every one of them has offered up at least one challenge that either cost our client or ourselves MORE money than we originally counted on spending. Whether it was not having a door positioned in the right place and then having to go through hoops and loops to resolve; or dealing with part after part that was NOT pre-assembled, NOT properly labelled, not fabbed accurately or just NOT there. The fact that we had these issues was not the worst of it — the worst part was what we needed to do to “fix or resolve”. It was not a matter of pulling out the saw to cut a few pieces and fasten them up with some wood grip fasteners. No. We had to first get clearance from engineering to make sure we were not altering the integrity of the building SYSTEM since the buildings TOTAL LOAD capacity is pretty much 100% dependent on EVERY part being the part it’s suppose to be and in the place it is suppose to be and installed the way it is suppose to be installed. ANY deviation of any of these can lead to reduced load capacity and potentially compromise the building’s ability to withstand snow, wind or seismic loads. Are Rigid buildings strong? Sure they are — but only as strong as they are “built” to the exact specifications of the manufacturer. NO DEVIATIONS. No modifications. No after the fact changes. At least NOT without getting things cleared. Are Rigid buildings flexible? Yes, but only to the extent you have torches and welders to modify AFTER you get approval and able to afford the typically HIGH COST of beefing up, from the extra labor and the need for more or newer (STEEL) parts to accommodate the change. Which typically can only be purchased from manufacturer. “No substitutes”! Are Rigid frames EASY and SIMPLE? Only if you know EXACTLY what you want UP FRONT, and basically “never” want to change ANYTHING. If you don’t meet those two criteria… count on complexity, difficulties, delays and worst of all alot MORE MONEY. Not just a little. ALOT! Are Rigid frames aesthetically pleasing? If you like the main option being JUST STEEL. Yes. Oh you can COVER these with decorative materials — but don’t think about “saving” the steel to put something else on to save money. It won’t happen. 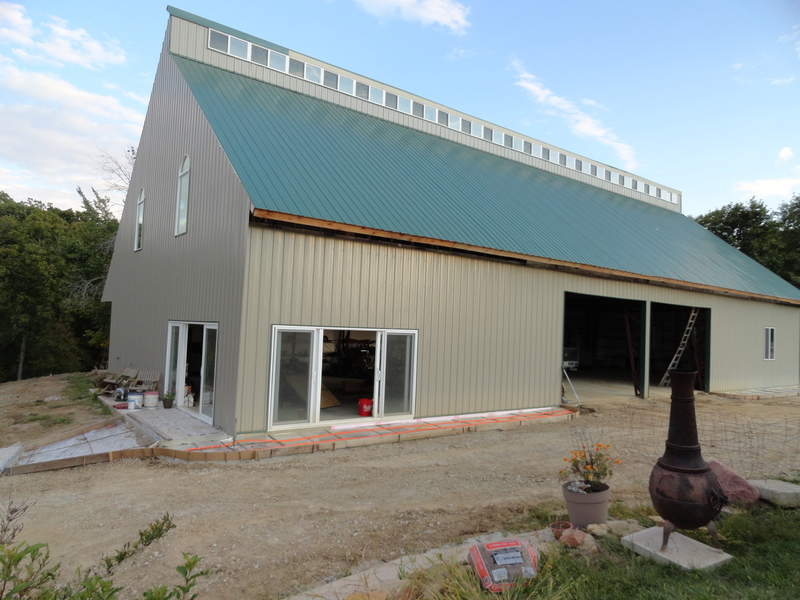 You will either have to leave the steel sheeting on, and PAY EXTRA to cover it – or pay alot more for special engineering and structural beef ups to be able to remove the sheeting to allow you to put something else more aesthetically appealing instead. Not exactly a “value added” option! Are Rigid Frames less costly? Yes – again if you know EXACTLY what you want and DO NOT PLAN to change pretty much ANYTHING! (I guess that’s why they call them RIGID frames!!!). Otherwise — NO. Pure and simple they will cost MORE. And in some cases, as we experienced, ALOT more. Do your homework. They can be the best solution – but you MUST know what you want and WHO you are getting it from. 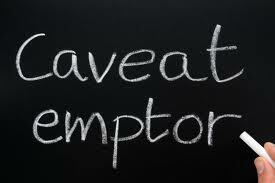 Otherwise — CAVEAT EMPTOR!! Are you a client builder hero? At the time of our last post – we were well in the process of handling issues that some of our Rigid Frame clients had to deal with — and we felt obligated to share it in the spirit of open, honest, transparency… and as you can see from that post: http://www.perkabuildings.com/wp-admin/post.php?post=1173&action=edit, PATIENCE & TIME are invaluable resources you really need to harvest alot of to deal with those types of issues. Well, since then, we’ve also come across another important lesson/experience, well worthy of mention here. For those who have more experience with dealing with Rigid Frame packages – no doubt this is stuff you already are very much aware of and can probably prevent from happening with properly pricing it all in BEFORE a client makes his purchase … so he knows UP FRONT what all it’s going to cost him – RIGHT? hmmm NOT so, in our experience as a Rigid Frame client. It seems suppliers/fabricators of Rigid Frame type designs – pretty much DO NOT want to say any more than they have to … after all – they just might NOT get the order!! YUP! Lesson #1 or #100 in buying a building… ASK QUESTIONS! We just supplied a building to a client who felt the $2500 more to get a PERKA HYBRID BUILDING package was just too much “more” for his budget. With the Perka package – EVERYTHING was layed out … NO SURPRISES. It was all there – nothing MORE to add. So he purchased a Rigid Frame Building – no more questions than needed and NO MORE INFORMATION than necessary provided by Rigid Frame Supplier. 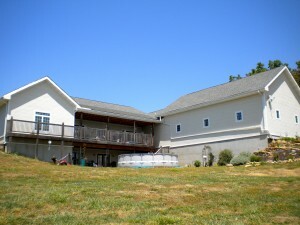 The building was to be a dirt floor – 3 sided Hay Storage Building. No big deal right? Buy the building – put it up. Go on down the road. NOT SO FAST. Dirt Floor? No concrete floor mesh and rebar to tie everything together? Did you figure on adding buried, concrete encased tie rods from side to side of your building to make sure the frames don’t spread out? Yup, we know that is also required for certain size PERKA BUILDINGS… and we will tell you up front. No so much for the RIGID FRAME. That $2500 difference? 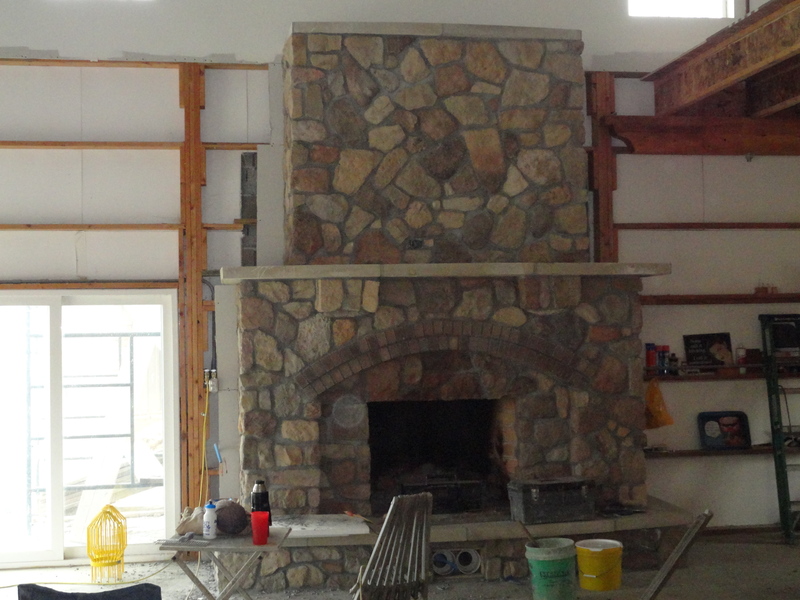 YUP — it was exceeded in the labor and materials to add those cross ties! GO FIGURE! Had we only known UP FRONT! When it comes to buildings, I may very well be “RIGIDLY” BIASED. Before I even start this blog post – I will admit, I MAY BE BIASED… and somewhat ‘rigidly’ so too. They showed me what it looked like to be a good steward, to NOT WASTE, to do things right and do the RIGHT thing. They encouraged me to THINK, to not TAKE everything as fact just because someone said so, to do MY OWN homework and research to make up my own mind, within a context of lasting-over-time. i.e. “Be in it for the long haul”!! They showed me the importance of making sure the things meaningful in my life had value, integrity, durability, quality and purpose, and that that would only come if I GAVE to them in the same way… from the people I could choose to be, work, live and play with, to the “things” I could choose to own, operate, use, share and/or have stewardship over. 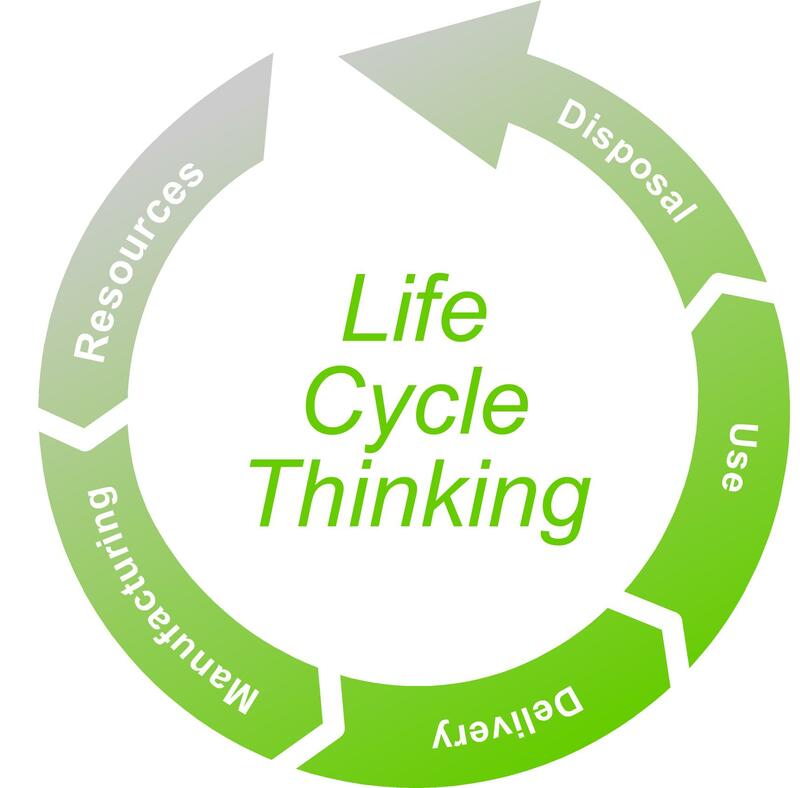 So quality, value, durability, integrity, flexibility, adaptability and sustainability, just to name a few, would become constant barometers in the litmus tests of whatever and whenever I had the freedom to make choices on or about. (#strongbuildings). So in this biased sense, we are committed to the goal that the PERKA BUILDING ‘system’ offers the highest value as an investment, the most strength for durability over time, the most flexibility to adapt to any building need, as well as being easy and simple to deal with for any modifications, finishing or maintaining needs. Whether it be during the build process or even months, years or decades in the future; your PERKA BUILDING will be able to grow WITH YOU! Now let’s take the RIGID frame (plate beam) type of building design for example. It’s own name pretty much points to fact that they are probably not going to be very “easy or flexible to deal with”. We realize that it’s a technical and engineer based description, unfortunately our experience has also made it the descriptor for other things as well. 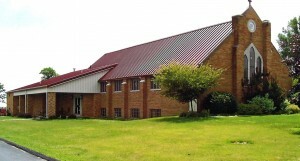 Despite being totally committed and convicted about the many many great things in a Perka Wood Steel Hybrid Building, we are not always able to fully convey the information, experiences and testimonials needed to help some folks fully comprehend the many benefits and longer term returns on this type of Wood/Steel Building investment. In an effort to still be able to serve as many clients as we can, we still look for the best, most affordable alternative and sometimes yes, even “rigid frame” type building sources, so that we could have yet more options for those who still want to deal with an organization like TEAM PERKA, that has a long standing history of integrity for standing behind their products, commitments and obligations. 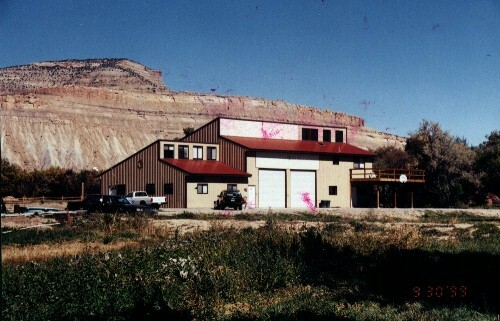 Whether it was not having a door or window positioned in the right place and then having to jump through hoops and verifications to resolve it, or dealing with part after part of the building materials, that was NOT pre-assembled, NOT properly labelled, not fabbed accurately, not pre-welded, not pre-punched or just NOT there. The fact that we had these issues was not the worst of it… ‘stuff happens’, we can adjust to that. — Unfortunately the worst part was what we needed to do to “fix or resolve” these issues. It was not a matter of simply pulling out some tools to modify a few pieces and fasten them back up the way they were suppose to be. No. We had to first get clearance from engineering to make sure we were not altering the integrity of the originally designed building SYSTEM, since the building’s TOTAL LOAD capacity is pretty much 100% dependent on EVERY part being the part it’s suppose to be, in the place it is suppose to be in and installed the way it is suppose to be installed. ANY deviation of any of these on a RIGID FRAME SYSTEM DESIGNED BUILDING, can lead to reduced load capacity and potentially compromise the building’s ability to withstand their intended snow, wind or seismic loads. That process is generally not an “easy or simple” one. The flexibility, if any, of this design, in our experience, is virtually non existent. Here are a few more observations. 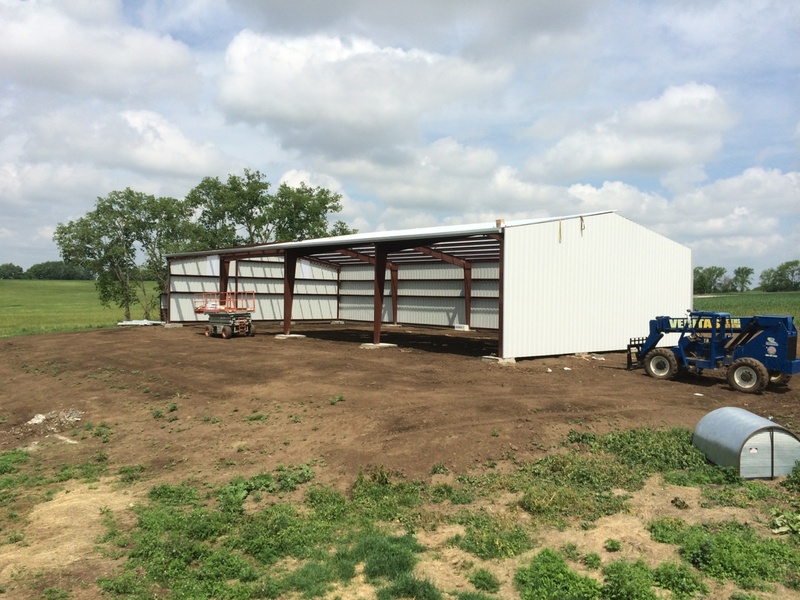 Are Rigid frame buildings strong? Sure they are — but only as strong as they are “built” to the exact specifications of the manufacturer. NO DEVIATIONS. No modifications. No after the fact alterations, changes, add ons… at least NOT without getting things cleared. And you may as well allow a chunk of time and most often a good chunk of some more hard earned money for that process. 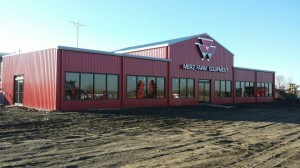 Are Rigid frame buildings flexible? Yes, but only to the extent you have torches and welders to modify things AFTER you get approval, and able to afford the typically HIGH COST of beefing things up; from the extra labor and the need for more or newer (STEEL) parts to accommodate the change. (Which typically can only be purchased from manufacturer.) “No substitutes”! Are Rigid frames EASY and SIMPLE? Sure, but only if you know EXACTLY what you want UP FRONT, and basically “never” want to change ANYTHING. If you don’t meet those two criteria… you may as well count on complexity, difficulties, delays and worst of all alot MORE MONEY. Not just a little. In some cases, ALOT! Are Rigid frames aesthetically pleasing? If you like the main option of your outer shell to be JUST STEEL. Then yes. Of course you can COVER these with decorative materials — but don’t think about “saving” the steel to put something else on instead, to save some time and money. It won’t happen. 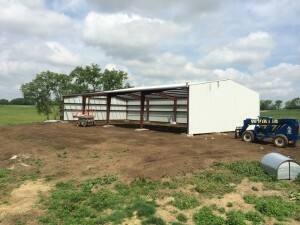 Unless you planned this from the start, you will either have to leave the steel sheeting on, and PAY EXTRA to cover it – or pay more for special engineering and structural beef ups to be able to remove the sheeting to allow you to put something else more aesthetically appealing instead. It is not exactly a “value added” option! Are Rigid Frames less costly? Yes. Sometimes. – And again this is dependent on you having to know (TODAY) EXACTLY what you want, and with NO PLANS to change pretty much ANYTHING! (Hence “RIGID frames”??!!). Otherwise — NO. Pure and simple they will cost MORE. And in some cases, as we experienced, by the time you get the job totally completed, ALOT more. In this day and age, where our society faces regular concerns about threats of harsh weather conditions, insecurity about finances, rapid changes in individual and collective life situations be it family, work, technology, location or purpose, it appears vital that our better choices will be able to offer strength to endure adversity and change, flexibility to be able to adjust whenever and however to whatever conditions that pop up, and to do this affordably, with an awareness for sustainable practices and a continued commitment to maintaining our assets for the long haul. Yes. In it for the long haul! And you know what? Perka Buildings can LOOK GREAT TOO! How does it get better!? Building for the Future, NOW. If you are able to take a bit of time to learn ALL about Perka’s design ideology you would be very pleasantly surprised by the many benefits, advantages, positive features, money saving ideas, waste preventing forethought and just plain amazing simplicity of their steel frames. Add to that a genuine desire to serve selflessly, to assist generously and to share whatever wisdom, tips and experience the Mates at TEAM PERKA have, and you have a pretty low downside and HIGH UPSIDE product package! To help you sift through some of that “time” – here is a list of just some of these big MONEY ($$$) affecting PLUSES!! 1. You don’t have to leave your vehicles, equipment, assets OUTSIDE in the weather! They will last longer, need less repair and will be worth more money if and when you decide to trade them in!! 2. You don’t have to work on or repair things out in the cold, wet or heat. You can have a nice comfortable dry place – which will save you time, money and trips to the doctor!! 3. 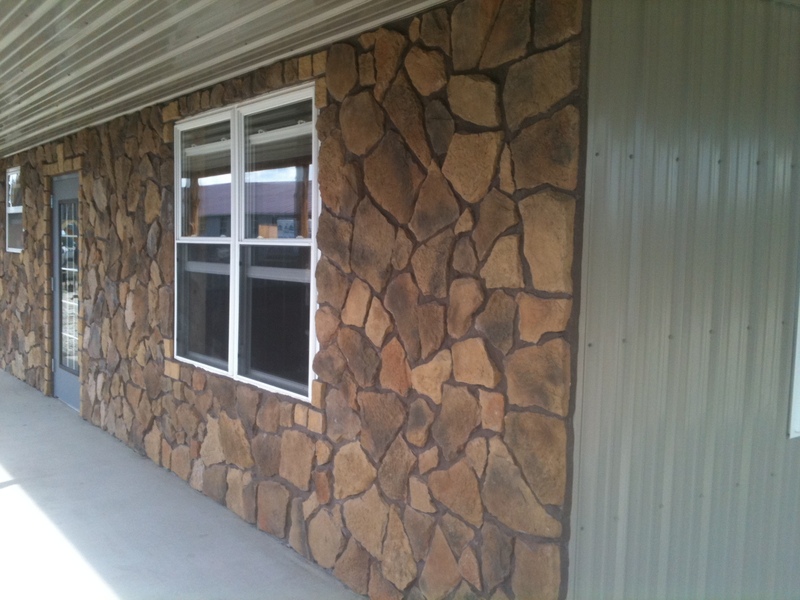 You will use LESS concrete, and spend less money, in your foundation as compared to any ALL STEEL rigid frame option. 4. 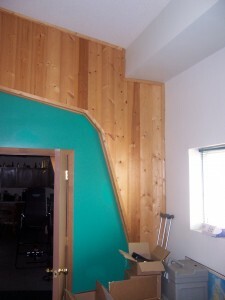 The building will be easier to assemble,without mis fits, do to it’s PRE-FIT process. That will save you time and money! 5. All Perka clips are pre-punched and pre-welded on the frame. That will save you time and money! 6. If you purchase a full kit package from Perka – you will get a takeoff that is conscious of waste and you will get all you need to build your building according to your approved drawings and nothing more. 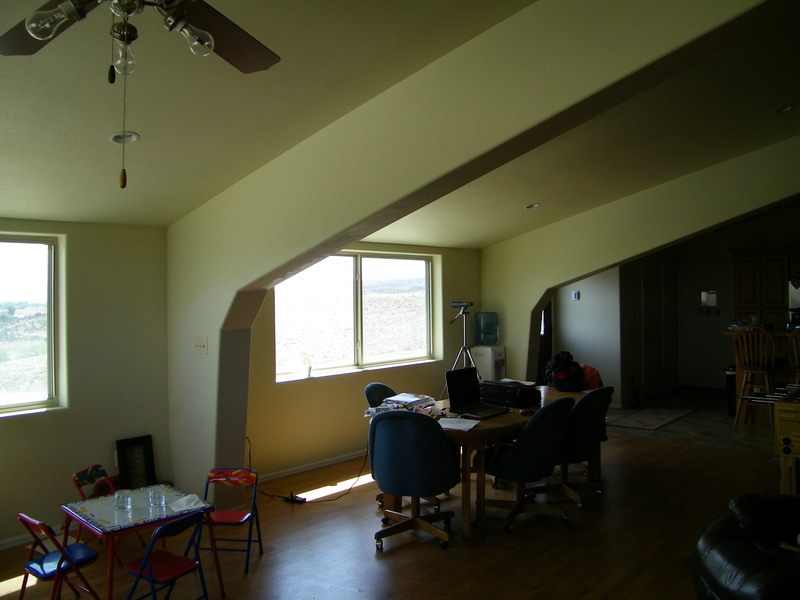 The building is priced accordingly so you will save money and not waste materials needlessly! 7. 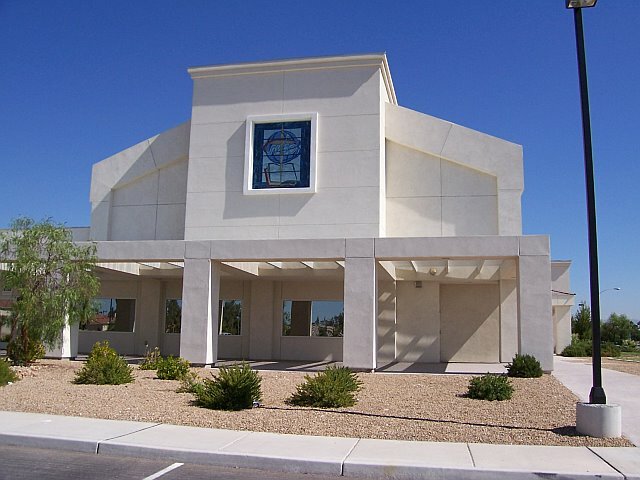 Perka Hybrid Buildings are designed with ease of assembly in mind. That will save you time and money! 8. 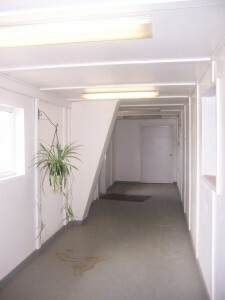 Perka Hybrid Buildings are designed with ease of interior in mind. That will save you time, materials and money! 9. Perka Hybrid Buildings are designed with ease of insulation-ability in mind. That will save you time and money! 10. 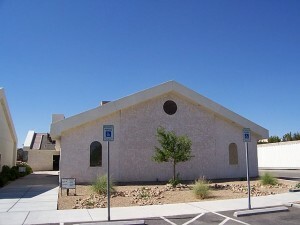 Perka Hybrid Buildings are designed with efficient use of the least amount of “energy” to heat or cool. That will save you money! 11. Perka Hybrid Buildings are designed with quality, durability and no compromise on design safety. The frames come with a 50 year warranty and over the long haul that will save you time and potentially alot of money! 12. Perka Hybrid Buildings are designed with quality, durability and no compromise on design safety and than can also save you on repairs from weather damage and possibly even on insurance premiums. That can save you time, money and aggravation!! 13. 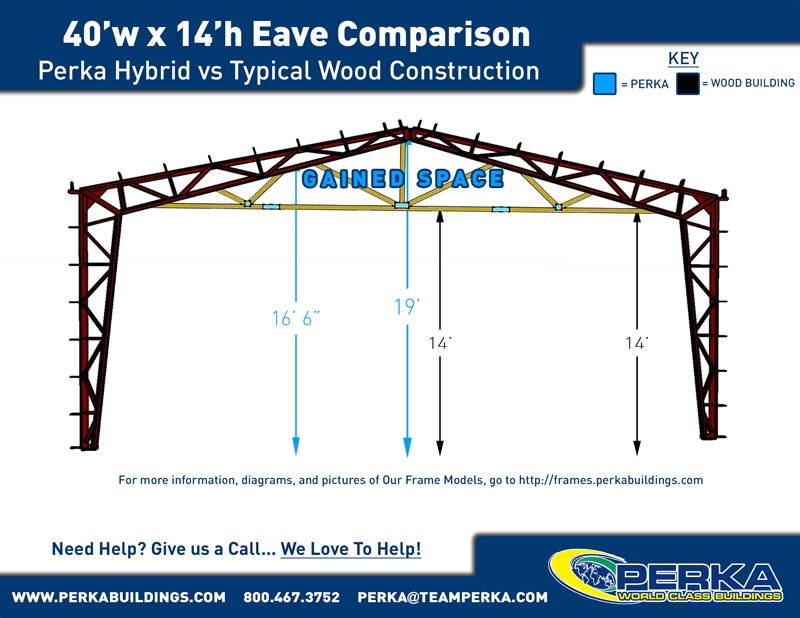 Perka Hybrid Building Frames are generally pre-engineered but never un-modifiable. Perka’s in house engineering, design and detail team can easily, quickly and inexpensively custom design ANY frame to meet YOUR exact needs. 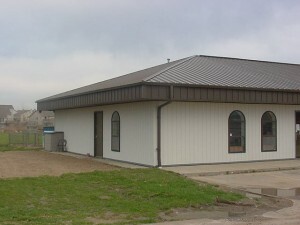 A custom building at pre-engineered price. That can save you time, money and future aggravations!! 14. 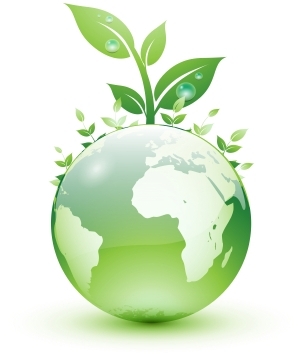 Throughout the process from order taking, fulfillment, to production, packaging, shipping, construction and after sales service – TEAM PERKA aspires to always carry out the intention for an ENVIRONMENTALLY SUSTAINABLE AND FISCALLY RESPONSIBLE product. AND THAT WILL SAVE YOU MONEY! And these are just a few of many benefits… Search and browse our blog and sights for more — or just call us at 800-467-3752! WE LOVE TO HELP! 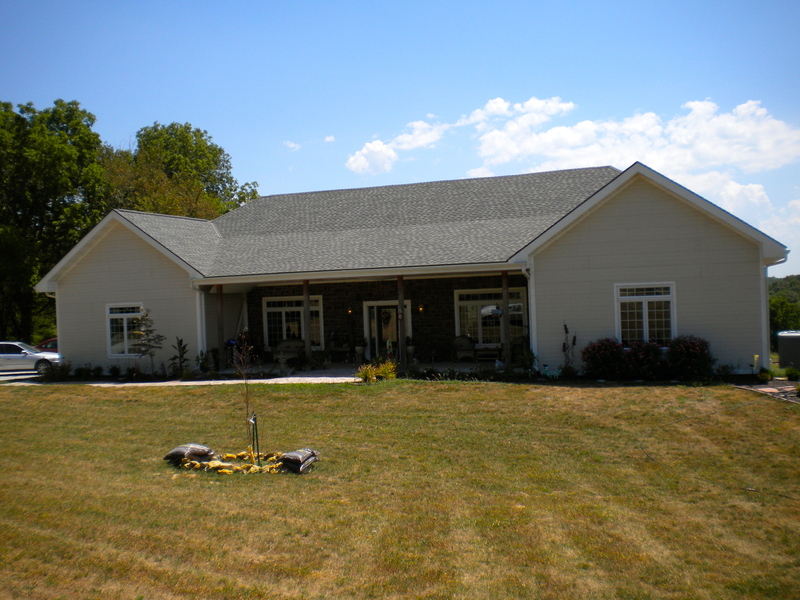 Over the past several years we’ve been seeing trends towards building stronger homes. 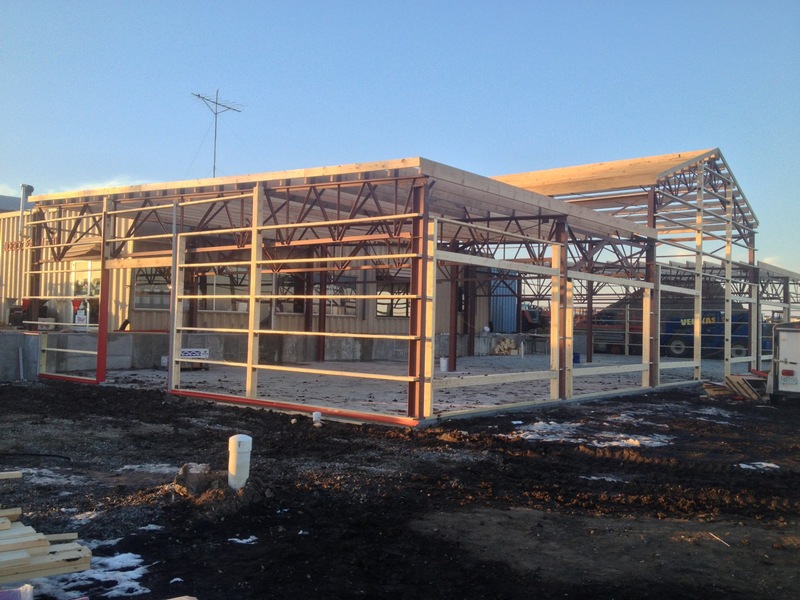 As the building codes for commercial, industrial, institutional and even agriculture and residential structures have had to BEEF UP load tables due to increasing wind/snow limits (based on last 100 year patterns), more and more folks are looking to STEEL framing for their homes! And why not? If we’re going to beef up protection for our toys, hard assets and animals it makes sense to do so for our families and loved ones! YES? 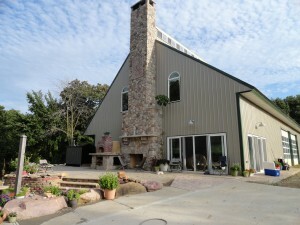 Since making a home in ALL STEEL can have some of the “disadvantages” found in building with Steel frames & Steel Purlins/Girts (http://www.perkabuildings.com/builders-information/fire-performance-highlight/) & (http://www.perkabuildings.com/builders-information/all-steel-buildings-advantages-disadavantages/) more and more folks are looking to the BEST of both worlds — The PERKA PREFAB WOOD STEEL HYBRID BUILDING SYSTEM!!! Not only do you get STRENGTH where STRENGTH is needed by using Structural Steel Main Frames for the super structure – you also get flexibility and warmth where you would need those best by using THERMO BREAKING wood purlins and girts. (Find many more great reasons here: http://www.perkabuildings.com/why-a-prefab-perka-hybrid-wood-steel-building/). Many are concerned, however, if it will look and feel like a “steel shed”??? Our answer is an emphatic NO! 2. Hybrid shell design ALSO allows for EASY and EFFECTIVE insulation options for a consistently WARM or COOL, COZY and COMFORTABLE home. 3. 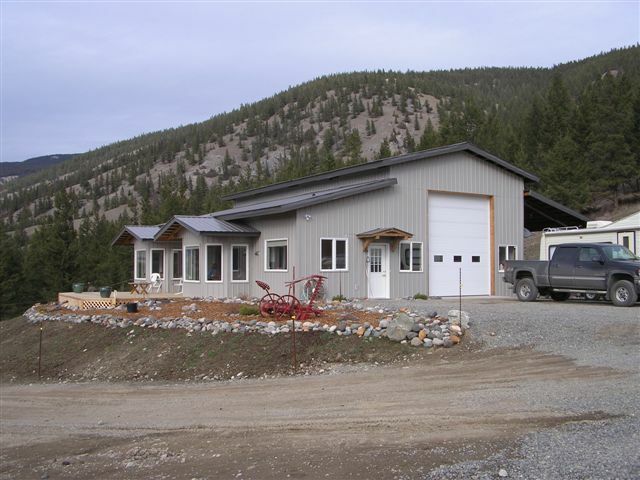 This same hybrid shell and Perka’s UNIQUE stand alone Structural Steel frame design allows you to be able to finish your outside envelope wall(s) and roof with ANY FINISH! You do not have to use steel panels!! I know — words are words, and sometimes don’t carry much weight — so how about some pictures? … and you can thus SEE for yourself! RIGHT? 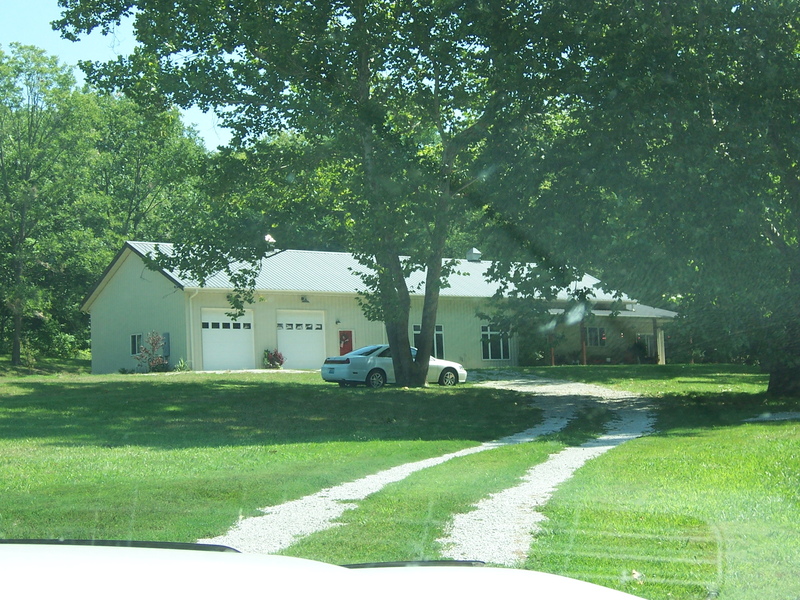 Matching house and garage designs are a cinch. By combining different frames and models you can achieve ANY layout or look! Creative back yards with deck overlook. 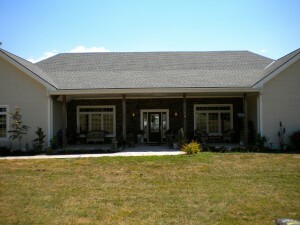 Nice brick front finish with patio entrance way. Nice and cozy on inside too! 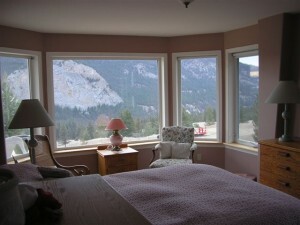 How about waking up to this view??? Windows of any shape… just pot them in. How about a grand entrance? Nice all wood finish with custom door ways? Even steel cladding can still look nice. 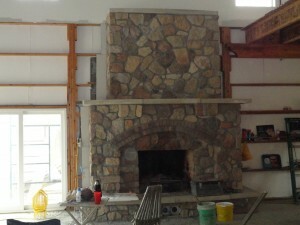 Need a fireplace? No problem! 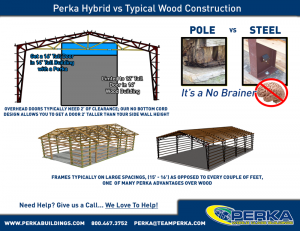 Look over these illustrations comparing a typical Perka Model 4000 Hybrid System Building Frame and a Pole Barn. 1. 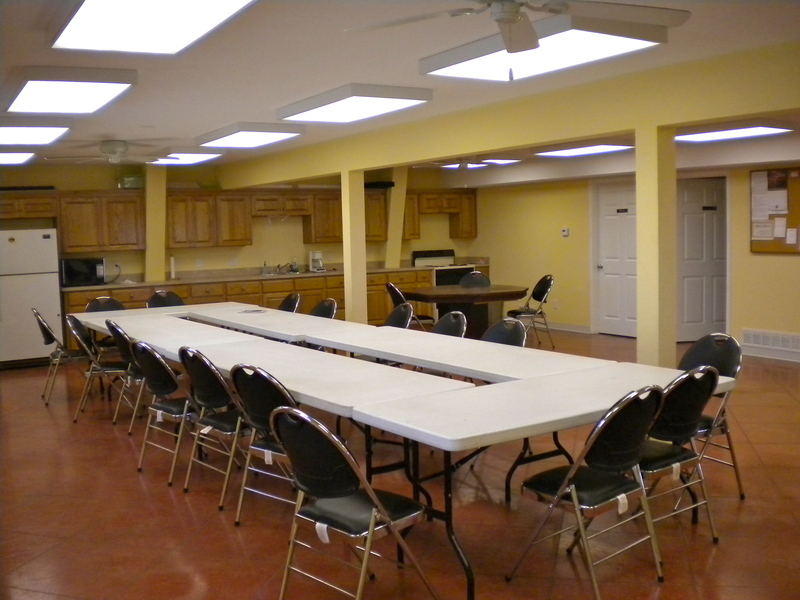 Do you notice a difference in head room? Is this important to you? 2. 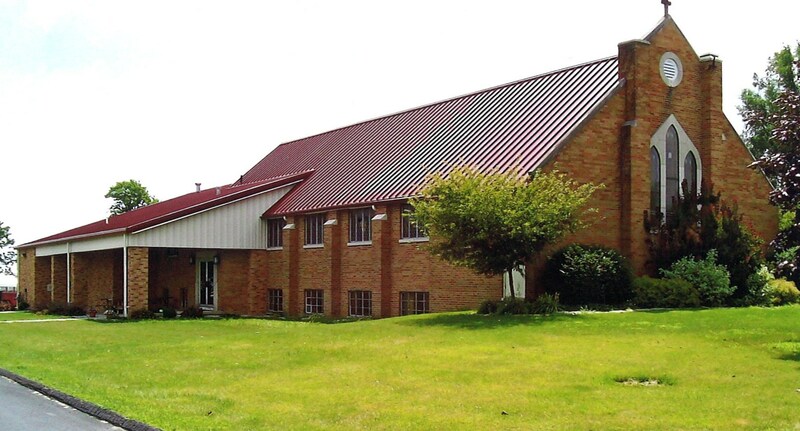 Do you notice how you can get a HIGHER – BIGGER door in a lower profile (eave height) building? Is this important to you? 3. 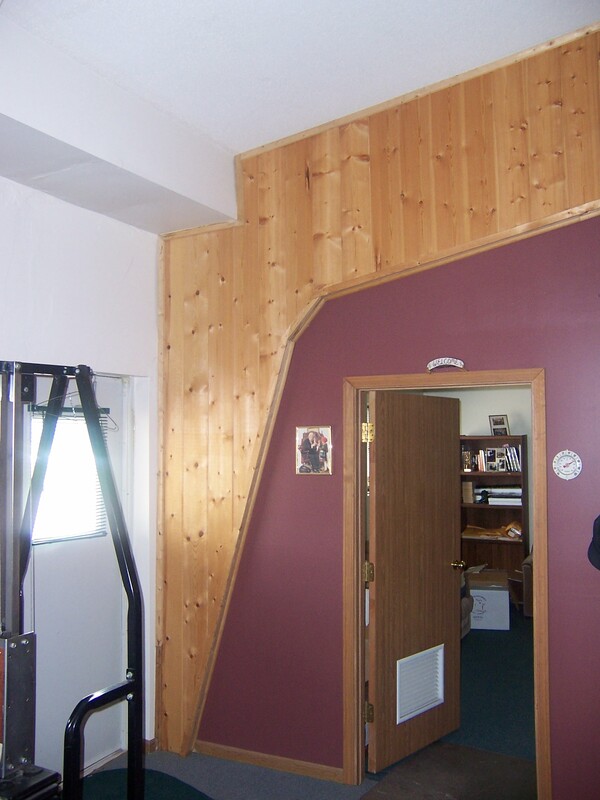 Do you notice the extra space you might find in BETWEEN each frame or rafter? Could this be of importance to you? What else do you see? We invite your comments, suggestions, opinions which you can share by emailing to perka@teamperka.com. 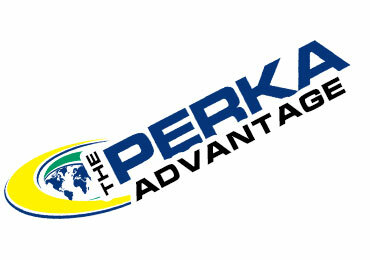 Or feel free to call and discuss with any of our PERKA TEAM MATES at 800-467-3752. Are you thinking of a farm Quonset Building or a Staightwall? 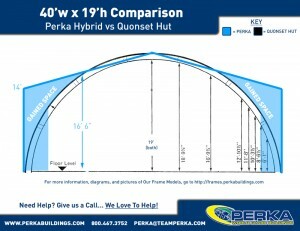 In fact when we (Perka) started back in 1981, Quonset Buildings were REAL popular. 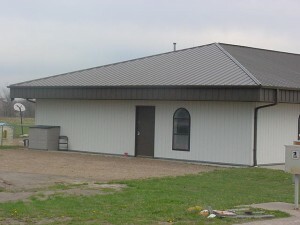 They were cost effective shelter buildings, fairly easy for the do it yourselfer and readily available with dozens of manufacturers making them all over North America! Fast forward 30+ years — and they are still relatively cost effective (though alot less so) and not much has really changed about them so they are still relatively easy to put up, if you like putting in thousands of bolts to put it all together! Back then they were “sold” without much engineering calculations to support them. Today there is much more of that available – but of course it closed the gab in the cost range. If you are going to build something to CODE – it must be able to withstand the earth quake, wind and snow loads… So they had to beefed up in many cases to do that. Just like with Pole Buildings or Stick Built structures – if not built to code — SURE THEY WILL BE CHEAP! If they are — the price will go up – and sometimes quite significantly! So it’s always about EDUCATING yourself and KNOWING what it is you are really buying! With alot less manufacturers – shipping costs can be a significant add on too. Something else to watch for. Another thing to be careful about is – actual “size comparisons”!!! A 40 foot wide Quonset will not have the same VOLUME of space as a straight wall. And even between straight wall designed buildings some have BOTTOM CORDS with TRUSSING all above that and so you will get LESS HEAD ROOM! Get some sketches with dimensions if you can! 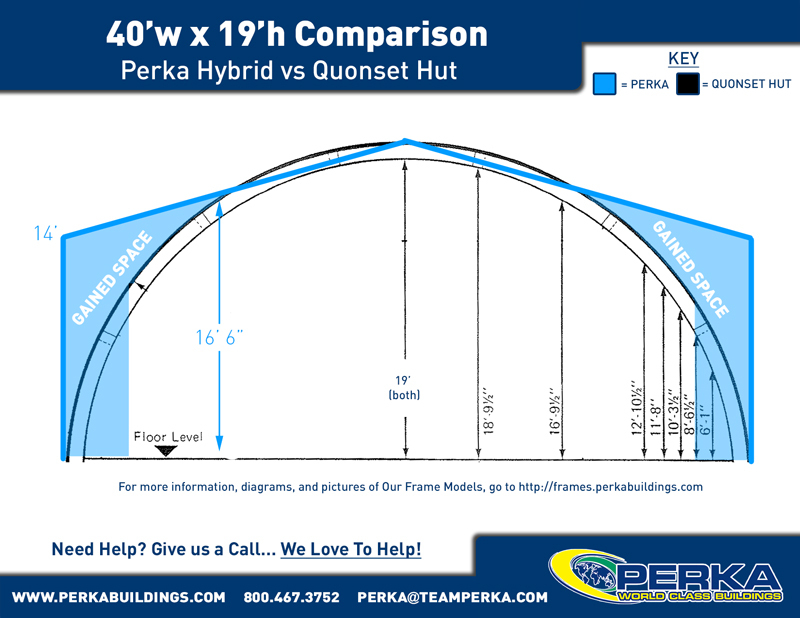 Below is an example comparing the Quonset sizes on a “40-19” model vs and 40-14 Perka Model 4000 Hybrid! The moral of this story here is: — ASK QUESTIONS. Know what you are buying — hopefully BEFORE you do that! The question is will you be able to afford actually paying for it LATER (usually more), if you don’t put some extra in NOW! If you have ANY questions about ANYTHING regarding buildings — there are some pretty good chances TEAM PERKA can help! We have over a century of industry experience here and been actually putting building SOLUTIONS together for OVER 30 years! Feel free to call 800-467-3752. WE LOVE TO HELP! 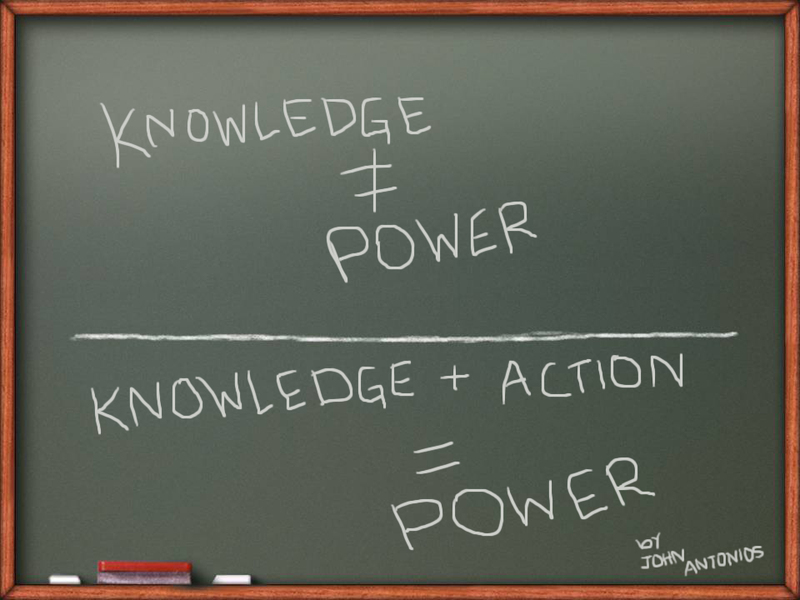 The FACT is — it’s the USE of KNOWLEDGE that is POWER! There is much written about the benefits of wood AND steel. 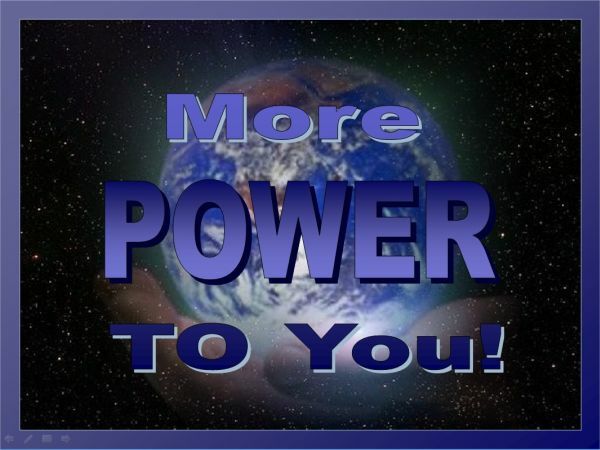 The POWER is in KNOWING where and when to use EACH! Someone also said — a PICTURE is worth 1000 words. Well here are just two! NOW. KNOWING THIS… what do you think? 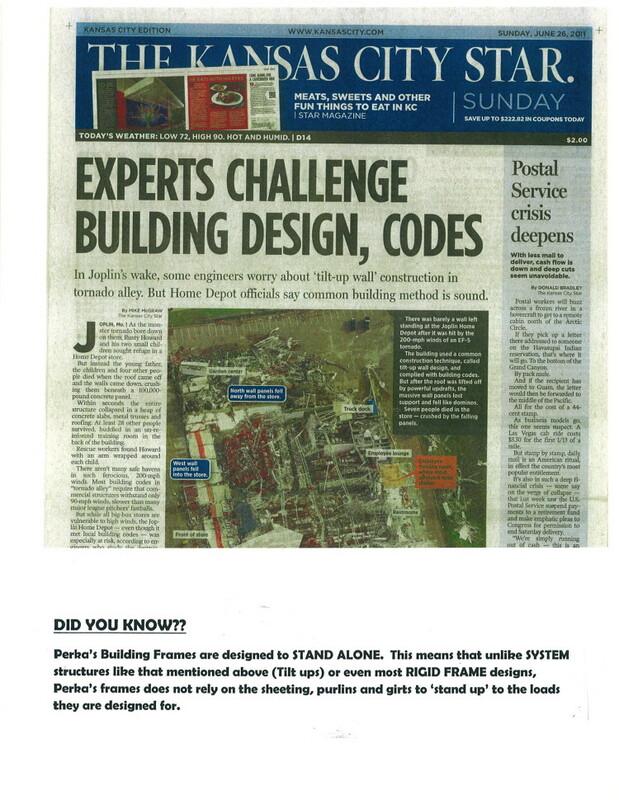 … YES – Perka – World Class Buildings served by World Class Teammates. 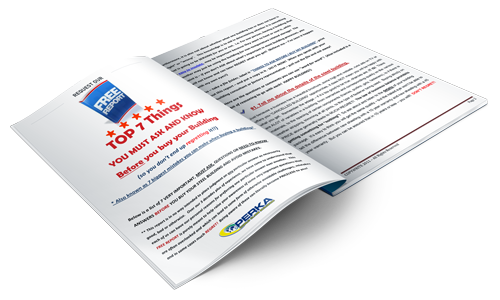 Here are 7 more GREAT Reasons Why it would serve you well to put up a Perka Building System. 15. 50 year factory warranty on Perka Frames – We put our money where our mouth is. Most other companies only offer one year. Or more with all kinds of conditions!! PERKA IS MADE TO LAST! 16. 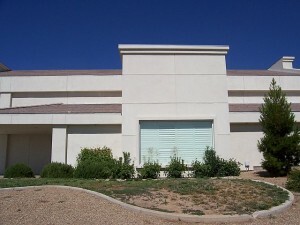 Because we typically use expandable ends, future additions or building expansions are made easily. All you have to do is take out the posts, girts and sheeting and add on another frame. If you are thinking of the FUTURE we can make that work easily for you!! 17. We’ve been awarded the Gold Key of Excellence 9 times and 6 years in a row. This is voted on by contractors and we receive it for our commitment to superior service and quality. WE BELIEVE IN DELIVERING ONLY THE BEST FOR OUR CLIENTS! 18. With Perka, while we do have a standard roof pitch for our prefab hybrid buildings — we can design the building with ANY pitch you want. No cookie cutter designs that will limit you. Always “MADE TO ORDER”! 19. We can even mix wood with steel to the point that you can have a wood frame with clear spans on one end and steel or steel expandable frames on the other end and for all clear spans we would use steel. TOTALLY FLEXIBLE AND INGENIOUS DESIGNS! 20. We have over 500 different frames with 5000 different configurations. There is no need to be “stuck” with a particular configuration… WHATEVER YOU NEED – WE GOT IT! 21. Since you are reading this – you are probably in the top 10% of the informed building consumer public. This means you are doing your homework and you deserve the absolute RIGHT BUILDING, FOR YOU, based on YOUR NEEDS. And THAT is what we do BEST as TEAM PERKA. We listen and we will deliver. Call us now – 800-467-3752. WE LOVE TO HELP! 7 More Great reasons to help you BUILD STRONG! 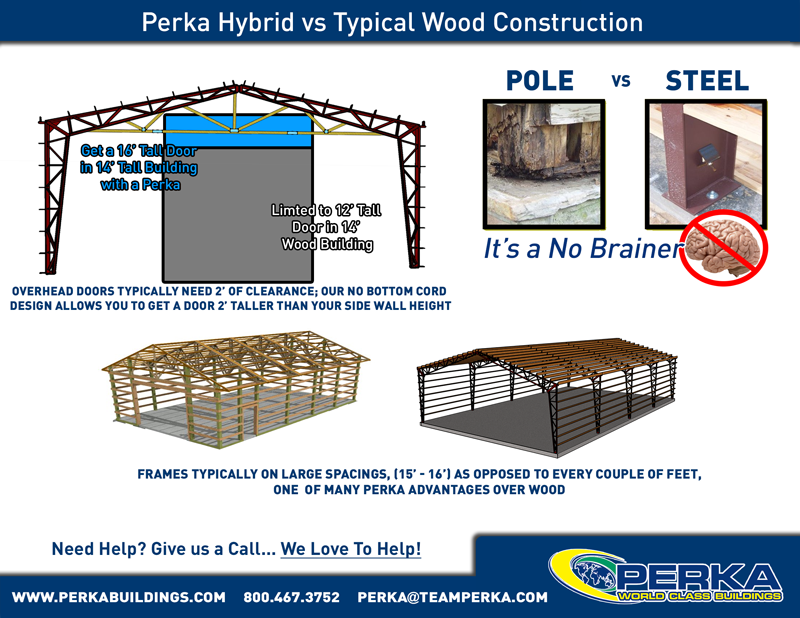 Here are 7 MORE GREAT Reasons Building with Perka can serve you BEST! 8. Because of the use of steel frames (trusses) for core super structure you can have wider spans and longer bay spacings than wood buildings. 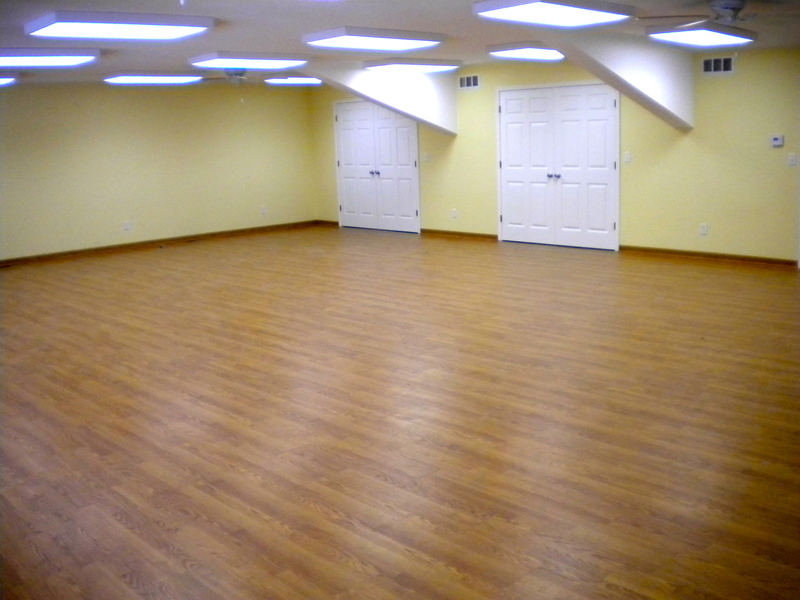 This makes for easier floor planning by being more flexible and practical! 9. Because steel frames have longer bays and wider spans, you can have fewer columns and this means less foundation “holes” than wood (pole) buildings. Plus having columns sitting on piers is always better than wood poles in the ground. In fact most poles actually do not meet codes. 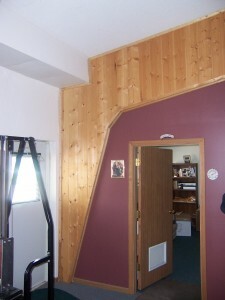 (See: http://www.perkabuildings.com/pole-barn-collapse-educate-yourself-before-you-buy-all-wood/). 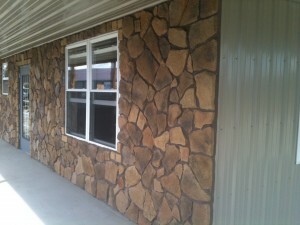 This makes your building more durable! 10. Perka offers TOTAL Design flexibility; you can get the EXACT building you want and need, not one that might work for you. 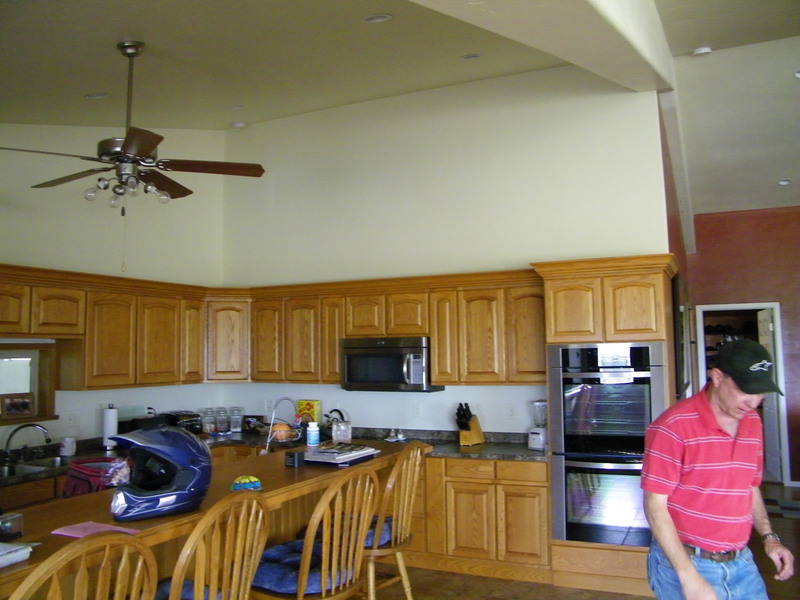 We can design and build to the INCH… If you need anything more – ASK! (ie. Inside width and height can be made to the inch and the length is endless.) YOUR PLAN is what we derive the BEST SOLUTIONS FOR!! 11. Perka has IN HOUSE house design team – we have our own engineers, draftsman and detailers who check and recheck all our designs for OPTIMUM efficiency and accuracy. 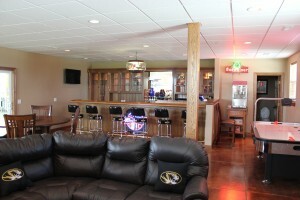 And we can tailor the building EXACTLY how you want it! YOU GET QUALITY FRAMES, MADE FOR YOU, THAT YOU KNOW WILL FIT TOGETHER! 12. You can get anchor bolt plans in less than 5 days, engineered data drawings in 7-10 days and the building can be delivered in as little as 3-6 weeks. 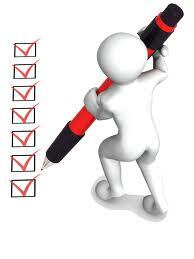 If you have any special circumstance we will always do our best towork something out WITH you. You can count on FAST NEIGHBORLY SERVICE! 13. 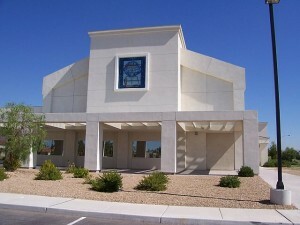 Perka’s unique steel frame STAND ALONE design permits for UNLIMITED exterior finish choices. 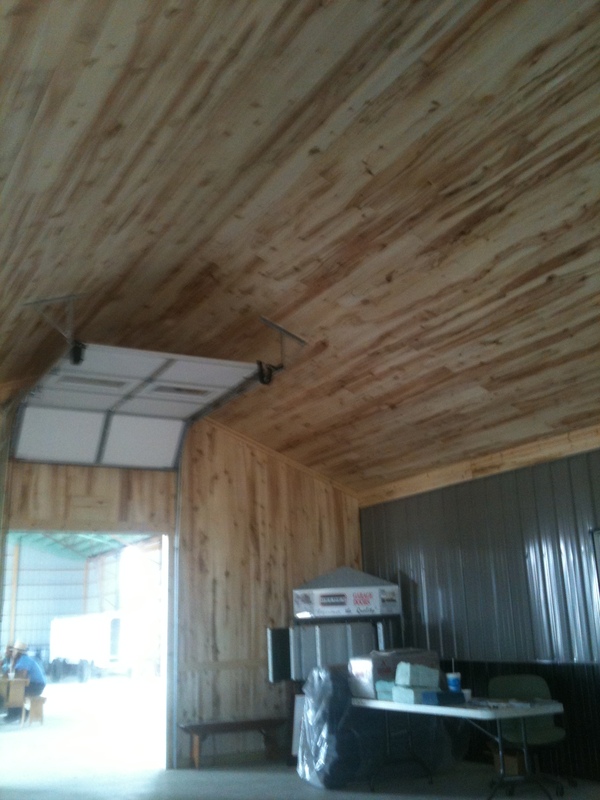 By turning the wood purlins to a vertical position you can virtually add ANY finish you want. Just like a roof/wall in your house! You can have the nicest looking building in your area – with STEEL inside! 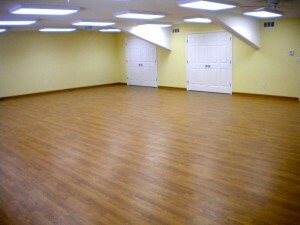 Instead of looking like a “shed” it can look just like your house or existing business. EASY TO WORK WITH AND FINISH! 14. Perka has an easy to read and nicely detailed 32 page assembly guide made with the “Do-it-yourselfer” or carpenter builder in mind. PERKA BUILDINGS ARE REAL EASY TO PUT UP! For more info and details on any of the above benefits and feature contact your PERKA TEAM MATE! 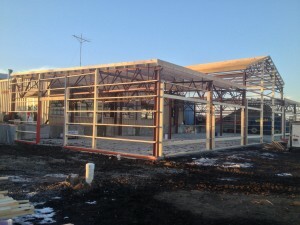 WHY A PREFAB PERKA HYBRID WOOD STEEL BUILDING? 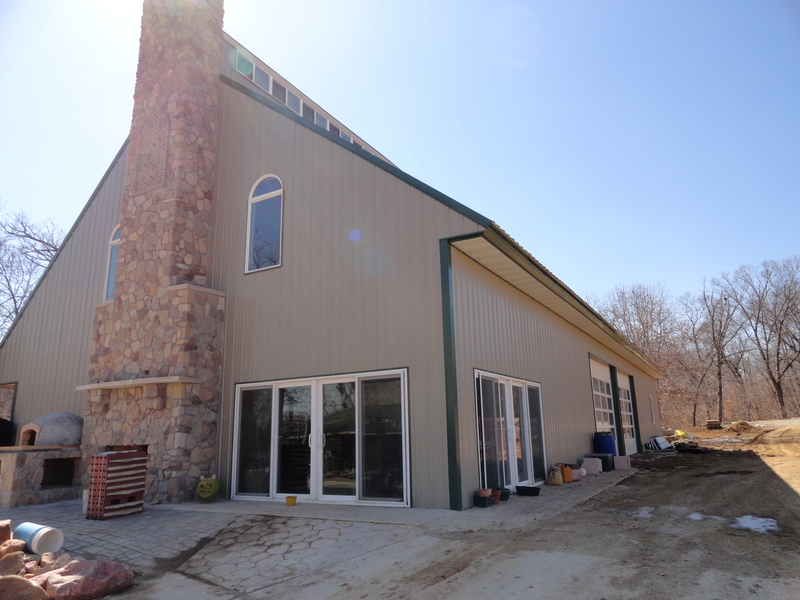 Here are 7 GREAT Reasons Why it would benefit you to purchase and build with a Perka PREFAB HYBRID WOOD STEEL BUILDING System. (Put simply — for more detailed info – call your Perka TEAM MATE or find out who from HQ at 800-467-3752). 1. Using wood for the purlins and girts is a GREAT ENERGY SAVER…. 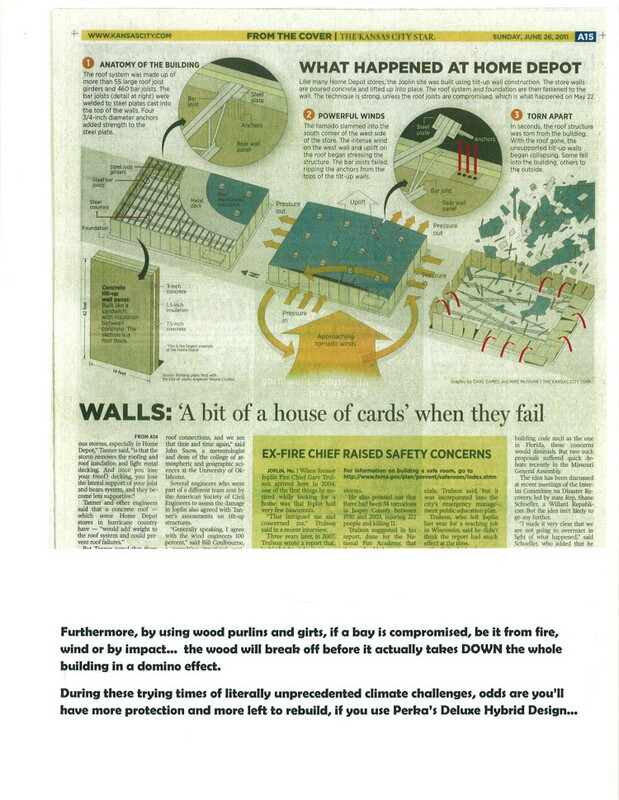 Wood is NOT a conductor of hot or cold and energy costs are rising through the roof! 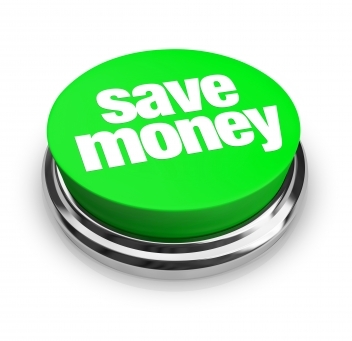 You Save MONEY! 2. Perka’s attachment clips are pre-welded on! 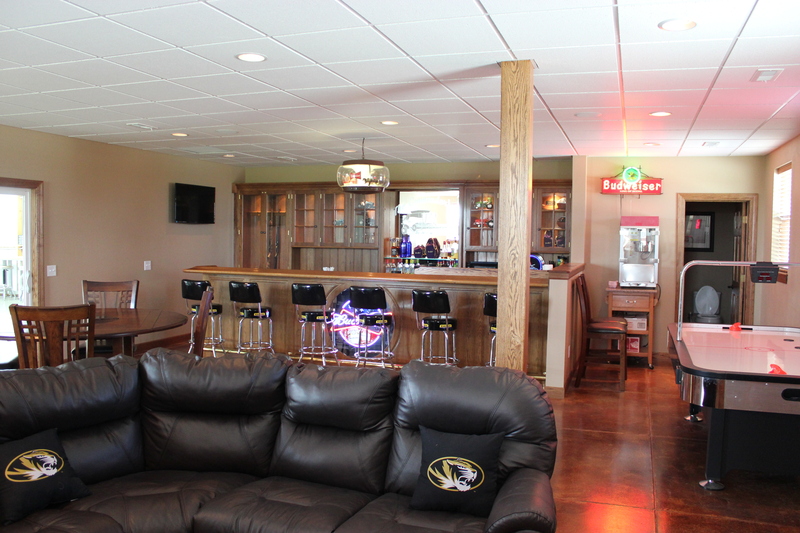 NO assembly required by YOU or your contractor. You Save Time! 3. Wood girts allow for easier door and window installations. Hammer and nails are easier than a blowtorch or welder. 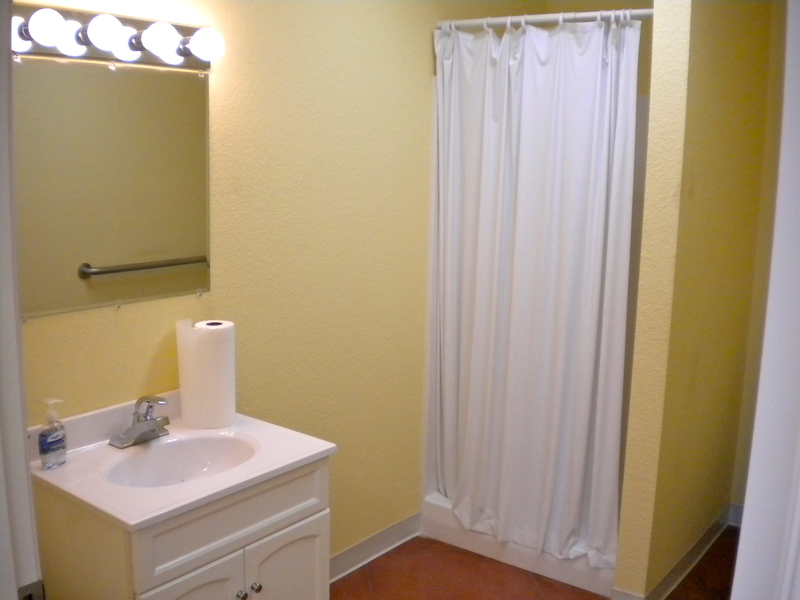 You can install the openings whenever and wherever you want. You get convenience and save Time & Money! 4. Because Perka spaces their wood purlins and girts typically at 24” inch centers, the interior is already prepped to be finished. You don’t have to BUILD another building INSIDE your building to finish it! Easy to work with! 5. With all steel buildings using steel ZEE purlins, Tek screws and washers are used to attach metal and typically in 5 years or so the screws and washers leak. Wood will not leak because the wood will swell to seal the hole. Maintenance Free building! 6. It is easier finding carpenters to put up a wood/steel building. Steel erectors cost more, have less flexibility and are generally often less “creative”. 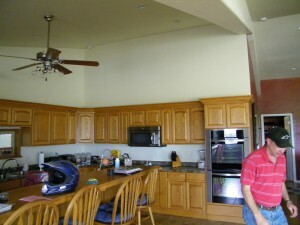 Carpenters are often experienced tradesmen, with more options and usually with alot of creativity to make things work. This makes building alot asier and less costly! 7. In the event of wind up-lift, snow or ice loads or fire, unlike typical ALL STEEL OR ALL WOOD DESIGNS you’ll never lose a whole building. You may lose a bay but that’s it! If a fire breaks out in a all steel building, because the metal twists and bends, the steel purlins pull the other frames in collapsing the whole building. Perka Buildings have purlins and girts in wood – that burn up and allow the roof section to collapse but not the whole structure. Also unlike WOOD poles and trusses, Perka’s STEEL frames are designed to stand alone… AND in the case of that God Forbid Fire, this actually vents the heat and the Perka steel frame remains untouched. The frame survives, stands up and after the clean up, the building’s steel structure will be ready for new wood purlins and girts to be replaced and the new exterior to be put on. A safer better investment! For more in depth info contact TEAM PERKA at 800-467-3752 or email to perka@teamperka.com. Pole Barn collapse… Educate yourself before you buy all wood! Pole barn collapse kills 5 cows and injures 2 more. Note there are post frame companies that do build to code… but there is NO WAY they can price it much less if at all than our PERKA BUILDING Model 4000 – let alone the ECONO MODEL! PASS IT ON — Knowledge is POWER! I have a question for the code enforcement community as it pertains specifically to building code enforcement for post frame buildings. Why do you generally NOT require engineering design documents for post-frame buildings? The analysis of a post-frame building is more akin to aircraft analysis than stick-frame analysis. By the time a simple, box post-frame building is ready for review by the Building Department a design package should include about 23 pages of calculations and seven 8.5″ x 11″ (A size) drawings. Since there is no prescriptive code for post-frame buildings (I would write one myself and FIRE all of these expensive engineers and designers if I could write one myself) and since the job of Building Officials and Plans Examiners is to insure building code compliance and, thereby, public health, safety and welfare, it seems reasonable to me that engineering documentation would generally be required for these structures. Not only is this not the case I find that a significant fraction of code enforcement officers and Building Departments are complicit in the circumvention of the building code. There are several counties here in Oregon and Washington that actually hand out design documents whereby non-compliant, unsafe buildings are allowed to be permitted and constructed. I gathered up all of these documents that I could find and ran a structural analysis on them all. I found 400% overstresses in all cases. When I complained to the Engineers Board about this problem, they (the weenies) claimed to have no jurisdiction over the activities of Oregon Building Departments. I complained to the Building Codes Division of the State of Oregon. BCD claimed to not only not care about the situation they claimed that THEY had no jurisdiction over the local Building Departments. I might add that when I asked the President of the Engineers Board what he would do to me if I turned in such documents. He replied “Oh, we would revoke your license.” Indeed. Non-engineered buildings fall down at an alarming rate. We had a little sprinkle of snow here in Oregon and Washington over Christmas of 2008. Afterward I took a tour of two Oregon counties with a contractor that I work with. He was licking his chops at all the building collapses. It looked like Godzilla had walked around in those counties. Buildings had gone down in less than half the local design snow load. And that was deemed to be an “Act of God”. It was no such thing. It was the act of a bunch of incompetent contractors and Building Departments that refused to do their job. I spoke to a woman recently whose building had blown over in a little puff of breeze the day after the contractor left the building site. The woman owned two acres and a llama. The county Building Department had done her a favor and given her an Ag Permit. 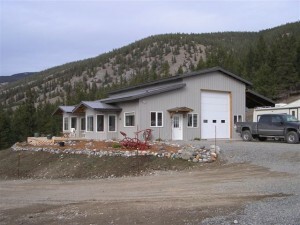 The Ag Permit saved her money and kept her from having to comply with the Building Code. It also kept her out of the clutches of the engineers. Some favor. She had absolutely no recourse. The disheartening thing is that collapse could have been prevented by the installation of a few pieces of pressure treated wood that the contractor left behind in the scrap pile. Oregon and Washington are not the only states that don’t enforce the Building Code for post-frame buildings. I am licensed in 38 other states and ALL of them hand out Ag Permits like candy. “It’s just a pole building, who cares?” I care because when one of them falls over or blows down I have to help pay for it through my increased insurance premiums. We all do. Hell, I did an as-built analysis on an equipment storage building for a county road department that had been ag permitted. When the road maintenance supervisor found out about it HE required the analysis not the county Building Official. What is so different about Perka Buildings? Perka Buildings manufactures their own proprietary stand alone sovereign steel frames that are specially designed for EZ install by unskilled labor as well as for Do-It-Yourselfers. Furthermore, the Engineer’s design process puts the load on the Perka Frames without necessarily taking into account the extra re-inforcing that comes from ADDING the side wall wood girts and the roof wood purlins. 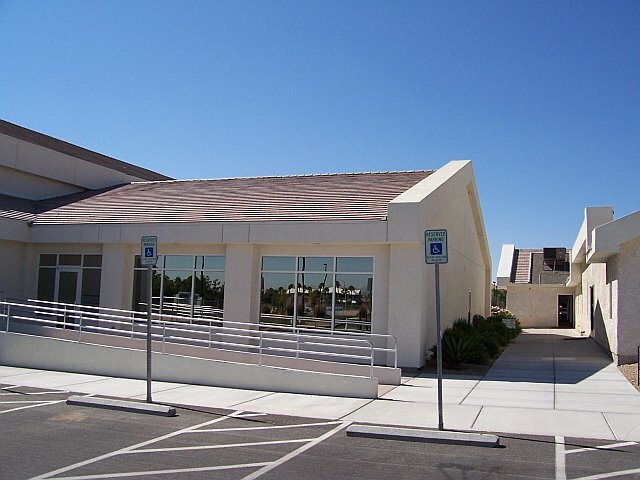 On top of that there is also inherent “strength” in the total BUILDING SYSTEM that comes from adding the exterior envelope material – typically steel siding… This offers much stronger steel frames and adds to the security of the building’s safety. 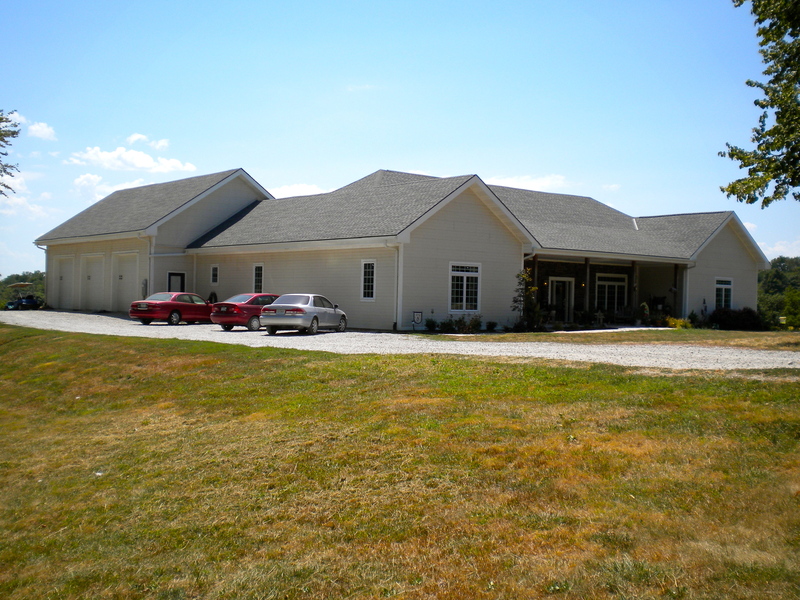 Most other pre fab building manufacturers design their structures as a SYSTEM. These designs are very strict as wells as restrictive with regards to being able to make ANY changes after design. They are typically designed ONE way and must remain so. Also their built in SAFETY factor would be much narrower on a SYSTEM designed building over one like Perka’s as “stand alone” frames! Perka is also very conscious of our product and overall business carbon footprint, and choose to incorporate features into our product process to save on materials, time and effort, not only for assembly, but for insulating, maintenance, future add ons and finish. The Perka Frame is versatile and flexible enough to be able to accept virtually ANY earth friendly material for it’s envelope, thus not only facilitating the “organic home”, “ecobuilding” or ”Greening” ideals, but also provides a still very important concern for strength and integrity for structure and content safety, including a longer lifespan which is also consistent with a closed loop sustainable construct. 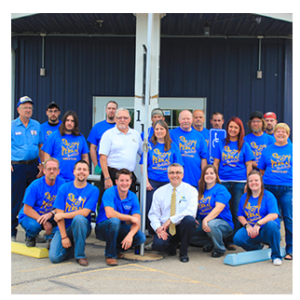 For more info about how Perka is always looking out for it’s clients of today as well as for the generations of the future contact any TEAM PERKA mate at 800-467-3752! In it for the long haul! Save Thousands of Dollars and Get The Building that you want! Fill out this form below and get instant access to the Top 7 Mistakes When Buying a Building Report right away! … Sometimes when you pay a little more – you get something MORE! Read the comments below these excerpts – and PASS IT ON!! Is it best to build in Steel or Wood? — How about BOTH!? 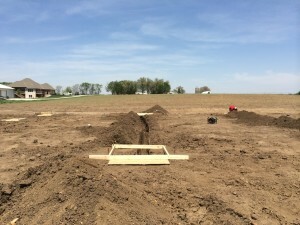 There are more and more folks thinking of building their own homes, shops, garages, etc., either as a do it yourselfer or as their own “General Contractor”… This is to not only for the freedom to be able to design it all exactly the way they would want, but to also substantially save on costs. This is always a good thing! Once that is decided the next question that often comes up is: What materials is best to use for the superstructure?… Wood, Steel or otherwise? A steel framed home, shop or shed or garage will be much more durable and sturdier from day one and, more importantly, for the long haul. 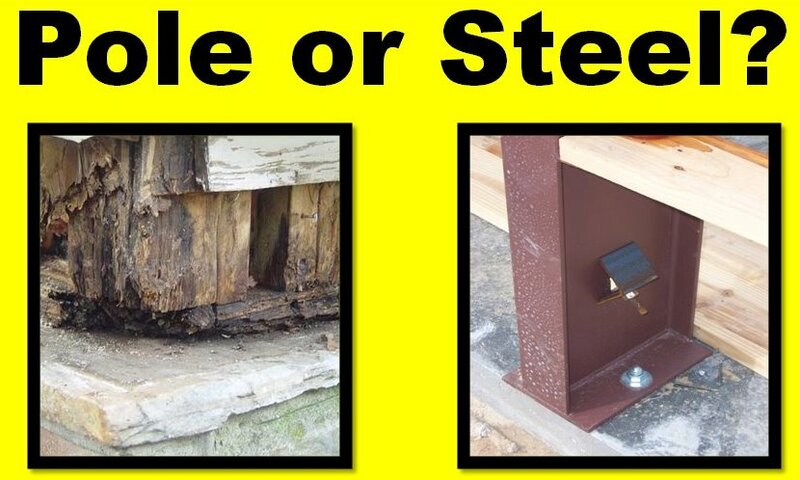 As you might expect – STEEL is definitely a stronger material than wood! 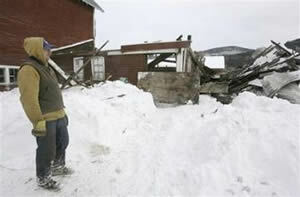 It will last longer and withstand much more in terms of wind, snow loads or even . 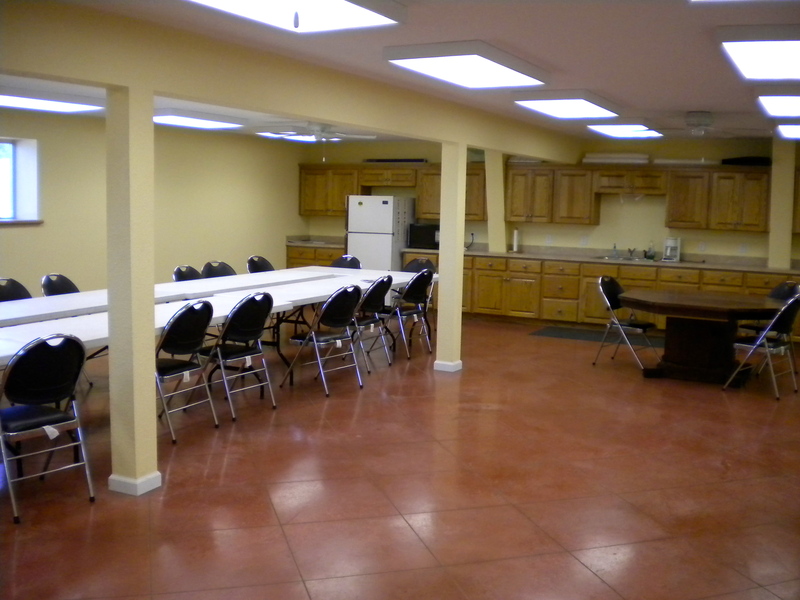 With Steel frames, you will be able to create nice, clean, clear span, unobstructed rooms. 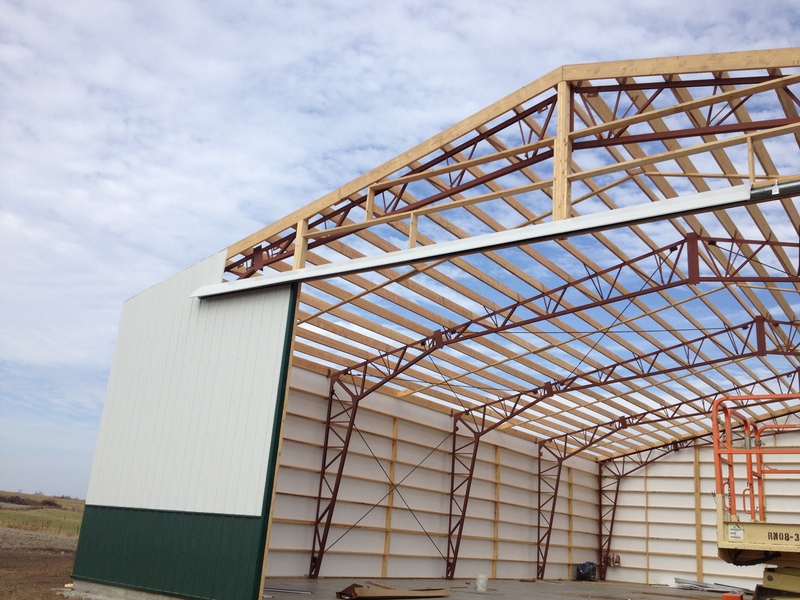 Steel can span larger dimensions easier, while not requiring posts or beams to support the roof trusses. And some Perka Models will even be able to offer clear vaulted ceilings offering even more advantages with getting higher door openings, more open access and even space for mezzanine lofts, 2nd floor areas or even practical attic storage. Wood is a great organic material – but it is also being depleted faster than it’s being renewed! While a renewable resource – it does take time. Most steel these days comes from recycling old steel… from cars to old bridges and structural steel scrap. This is a good thing for the environment. 5. AREN’T STEEL HOMES/BUILDINGS HARDER TO KEEP WARM IN WINTER AND COOL IN SUMMER? Steel Frames are not necessarily harder to heat or cool if you create the right THERMAL BREAKS. 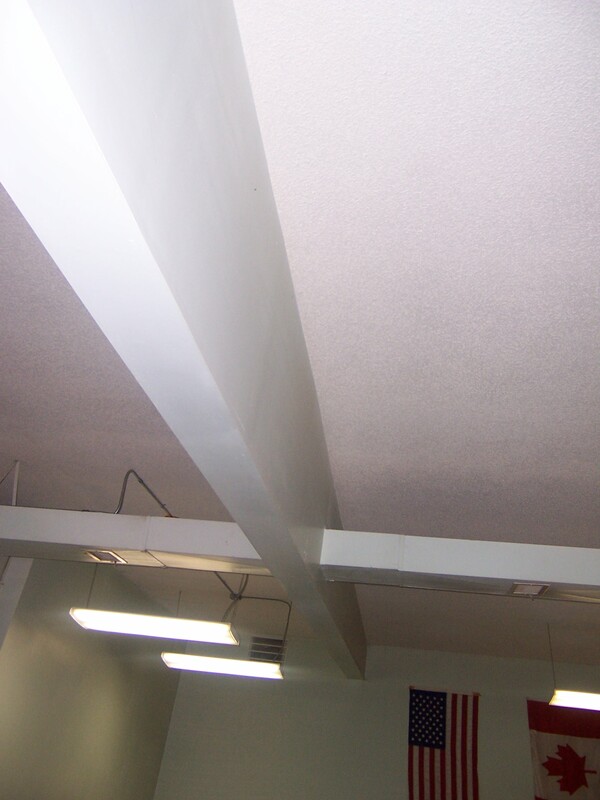 By using a product like one with an expanded polystyrene (EPS) core (i.e. 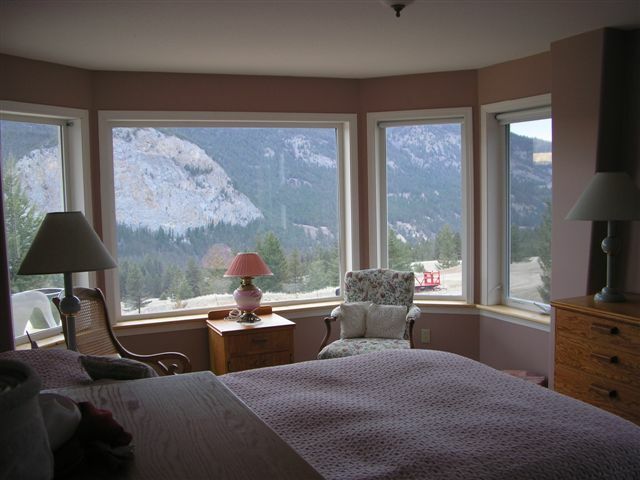 www.p2000insulation.com), you will be able to effectively and easily insulate the home against ALL THREE forms of heat transfers. a) The EPS – especially on wood purlins and girts – will virtually stop conduction since it pretty much blocks the transfer of heat to the cold (like a coffee cup – but 5 or 8 times thicker?). b) The coverings that are offered like reflective Mylar will handle the heat loss from radiation due it’s ability to reflect back most of the radiant heat. And that’s it – ONE application on a wood steel hybrid building and you have a virtually perfectly super-insulated system!! 6. QUICK, EASY AND LESS EXPENSIVE TO ERECT. If you get the right steel building frame design system (i.e. with pre-welded and pre-punched clips, pre-fitted to assure accuracy, minimal connections for simplicity, and well thought out and designed to eliminate as much shimming, splicing and retrofitting) – it will actually be allot quicker to erect, finish and insulate your home or building – and this will save you allot of time, money and “headaches”!! So, it’s always good to do your homework. Check out the various steel building frame and insulation options that are available. Know who you are buying from. 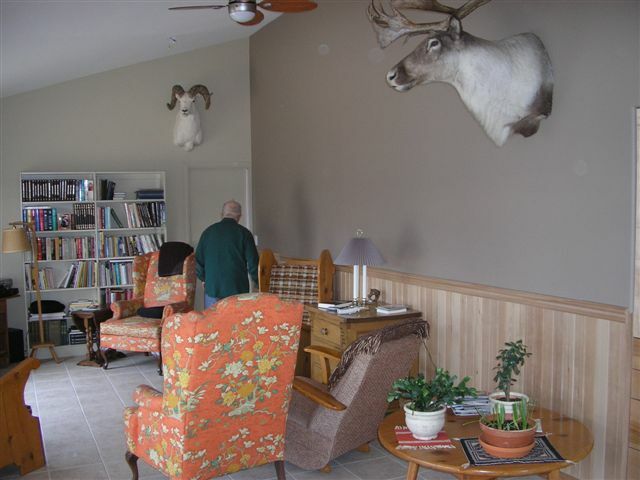 You can easily have a well built, well insulated building or home that will not only be very affordable, but be low maintenance, energy efficient, strong, secure, comfortable and last for generations. More and more folks are finding themselves on tightened budgets these days. Concerns about economic slow downs, cut backs, and job insecurity has got people really counting their pennies and not spending them faster than they absolutely need to. And that is perfectly understandable! Most people are also aware of the fact that you can only GET WHAT YOU PAY FOR!!! As many of you may already know PERKA is synonymous with quality, integrity, reliability, accuracy, service, dedication to client satisfaction and much more. These are inherent values you will ALWAYS get from PERKA products. Now many people will say we are kind of like the “Cadillac” of the building world. We have many standard options that are ALREADY included. 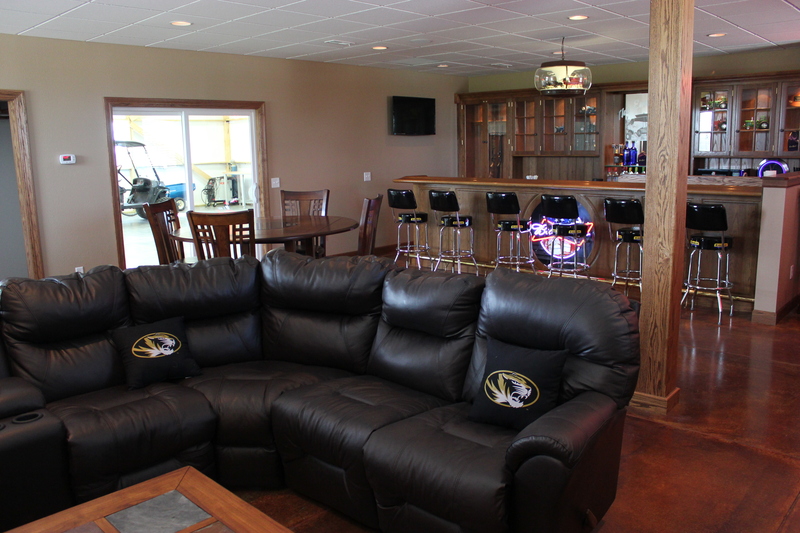 We hold to very high standards of design, workmanship, inspections and accountability from start to finish. 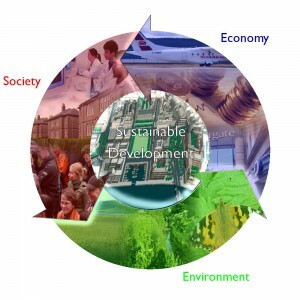 Of course all these virtues do add more time and attention to the product process and thus give it even more value. According to John Ruskin the law of business balance simple states you just can not get something for nothing – so all of Perka’s value added elements end up built into the cost of producing the product and providing service. Well all this to say PERKA is not about to compromise any of their value added elements. So there really is no room for cost cutting there. We have decided however, that we can modify a few things to make the Perka Econo Building more comparable to many lower priced alternatives and yet still offer all the major benefits of the PERKA STANDARD for quality and service. The new PERKA ECONO MODEL is a small variation of the present Model 4000 system. Same basic look, same quality in workmanship. But to help us be able to be more comparable to plate beam, “pole barn” or “post and beam” buildings which can be lower priced, we are now choosing to do a few things to close if not even eliminate the gap. The standard eave height on a Model 4000 is the dimension to the top of the truss’ steel. So by the time you add the purlin and sheeting – the actual height is 8″-10″ taller. 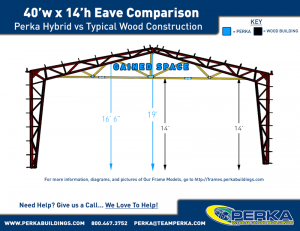 So the Perka ECONO MODEL will now have a nominal eave height dimension that includes the purlin and sheeting. Just like most of the lower priced alternatives. Perka’s standard allowance for dead load has always been a minimum of 4 pounds. This allows for the weight of the purlins and the sheeting and as much as an extra 1.5# for more weight – be it insulation, more roof material or even small collateral load items. Now we will design in the same loading of 2.5 pounds found in most of these lower cost alternatives. Another Perka Design Standard for their HYBRID wood/steel design buildings has been to always hold to a 24″ spacing on the purlins and girts. 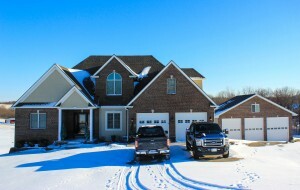 There is not much we can do about the roof since the 24″ spacing is minimum needed to meet snow loads. However, on the walls, a 48″ spacing (and even more in some cases) is more often used. And another thing that is found in many pole barn or post & beam buildings is the girt is often only a 2″ x 4″ and many times laying flat with it’s weaker axis taking the windload. Now we’re not prepared to go to the extent of using 2″ x 4″ for girts – but we can still meet minimum windload requirements and have our typical girts clips (still pre welded and pre punched) at 48″ centers and still receive 2″ x 6″. Another lower cost saving! Just like most of the lower priced alternatives. The standard warranty period offered by Perka on their frames is presently 50 years. Like any form of insurance – there is a certain small percentage of every “order” that must be allocated to the cost just in case. 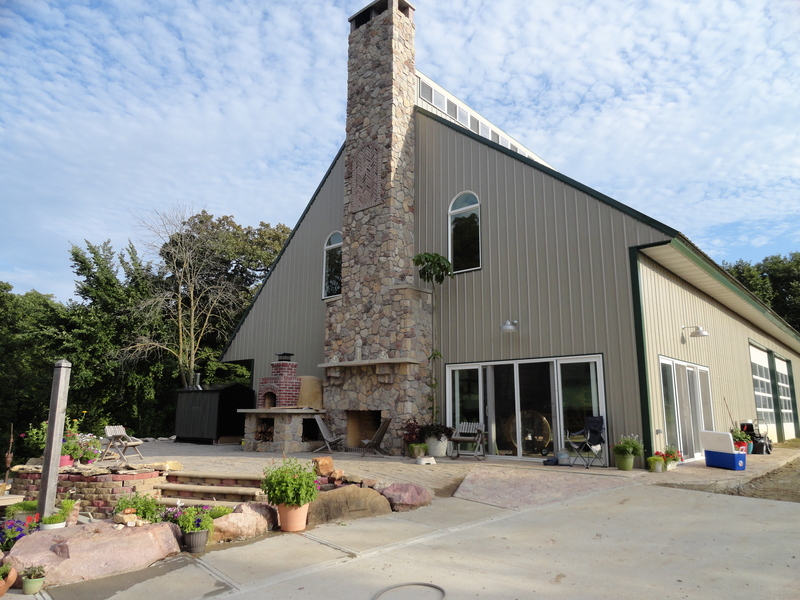 Since most of the lower priced building alternatives carry little or NO WARRANTY, and if they do, it is one offered from pretty much a BRAND NEW company or from the contractor themselves! (Remember: you get what you pay for!) Now we can’t erase our 30 year history of providing quality buildings but we can take away part of the allowance for the warranty to help with the cost. While you may not be getting an actual written warranty with this option – you are still getting the building frames from a 30 year old company who is high on integrity, honesty and good will. #5. Sheeting warranty, trim package and fasteners. If you are purchasing a building material package to include sheeting, trims and fasteners – Perka has always supplied the higher quality sheeting and trim alternatives. Always with the higher warranty. Like right now it’s at 40-45 years depending on the actually manufacturer we get supplied from. That being said – to compare with the lower priced alternatives, we can offer at a much reduced cost the typical 10 year warranty alternative. 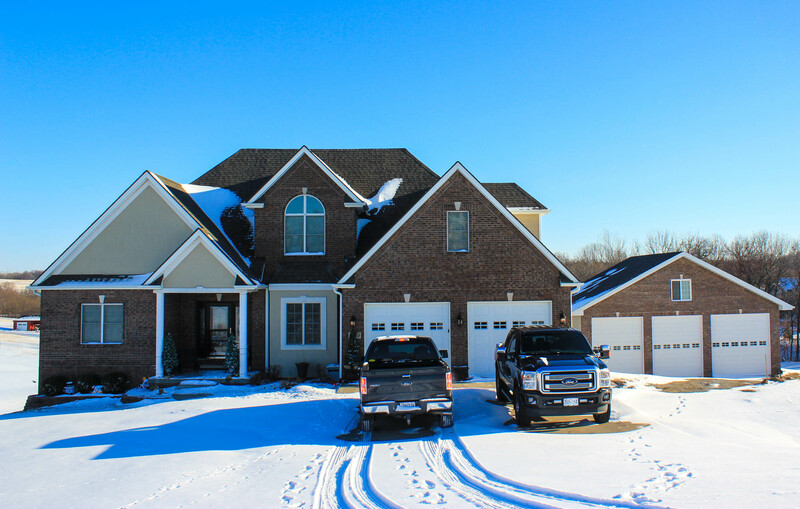 Furthermore – all Perka Material Packages have come with a deluxe trim packages which includes closure strips, eave trim, base trim and gable trim that is typically NOT included in lower priced packages. Also Perka generally only uses color matched #10 wood grip fasteners – these are screws. Of course supplying standard roof nails costs a bit less. So another place to lower the price! When you get a building material package furnished by Perka you will have wood material to support your mid bay girts on buildings with over 14′ bay spacings, and for the finishing of your fascias on the gable ends, as well as for your corners to make it easier to fasten your sheeting and trims. Whether you are a do it yourselfer or a seasoned contractor, this is just one of those “luxury” options that makes the builder’s life easier. Of course you will not necessarily get this with the lower priced option! Typically when a material is offered we can give the client 3 basic options. All steel frames for the mid 2 bay load bearing frames with wood construction non-expandable frames on both ends. All steel frames for the mid 2 bay load bearing frames with wood construction non-expandable frames on one end. All steel frames for ALL the frames in the building. By choosing OPTION 1 – you see we can lower the cost a bit more to be even more comparable. This way you still have STEEL WHERE STEEL IS NEEDED AND WOOD WHERE WOOD CAN SERVE BEST! In conclusion – by adding all these feature adjustments into the PERKA ECONO BUILDING, we can, in most cases, lower the cost enough to still be able to offer you the peace of mind of using PERKA quality and integrity but being able to pay a little less to get it while getting no less than what you would from the lower priced alternatives! Check it out for yourself. Visit other sections on this website — www.perkabuildings.com for more info about standard designs… feel free to call direct at 800-467-3752. More of what others are saying about TEAM PERKA!! Team Perka as an organization/business has great customer service that gives the contractor instant credibility with his clients. Team Perka’s willingness to embrace alternative building techniques greatly helps them become leaders in the growing green sustainable buildings industry. Keeping costs down in this building climate and showing them a home or building that saves money, and not just a little but allot is so needed, still quite rare but so WELCOMED from TEAM PERKA. Perka’s Hybrid designs saves people money from the very start and this really needs to highlighted and appreciated. 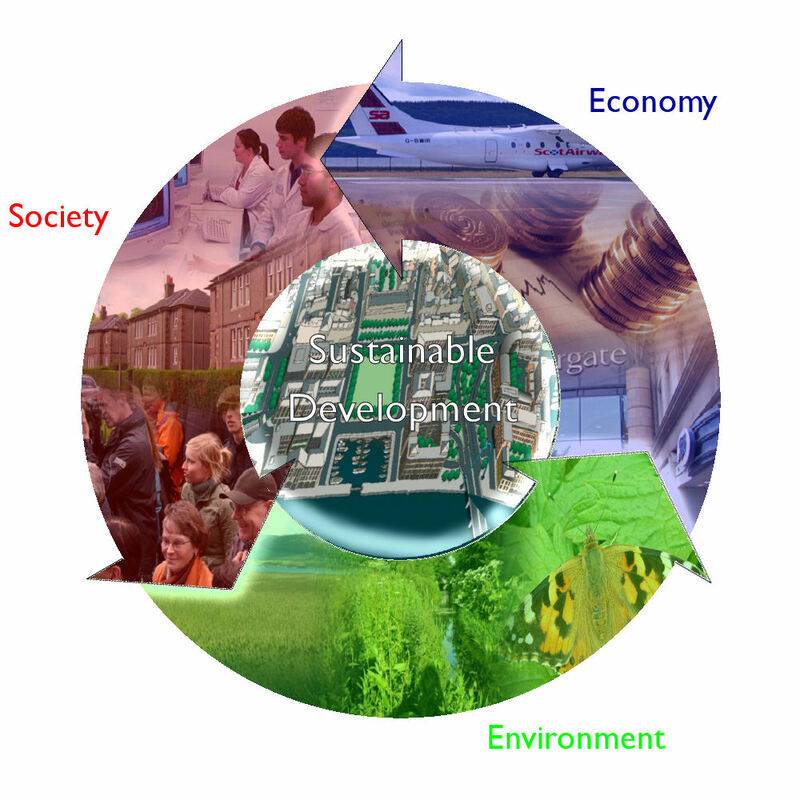 As a nation and industry that spends BILLIONS of dollars every year, we really need to wake up (educate) ourselves to SUSTAINABLE building concepts. Getting contractors to use designs like Perka’s prefab WOOD STEEL HYBRID buildings is very important… because they understand your stance on sustainability and green technologies. 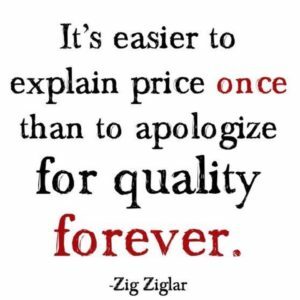 In my opinion, the soul of a company is just as important as the quality of the product. Supporting companies that are going the extra mile to help save resources and promote a movement towards responsible and aware construction is more important then just looking at up front costs/price. A more long term look at costs (waste, energy, maintenance, etc.) must be take. With that said, the complete Perka designed Hybrid package becomes an affordable product… and one that is now being marketed by a company that has a solid and thoughtful green outlook. For more info contact TEAM PERKA at 800-467-3752 or email to perka@teamperka.com or visit www.perkabuildings.com. What some people are saying about Perka Buildings!! The benefits of using Perka frames in almost any building (commercial/residential) are endless. Here are just a few of them! B. Ability to insulate and sheetrock for true inside finish. C. Two story buildings. Perka can add multi-story floor joists in. For others, the cost is staggering for this. It’s more cost effective to build a building inside a building (which is not cost effective at all compared to the time, materials and financial savings with a Perka building). D. Ability to design the building exactly the way you want. 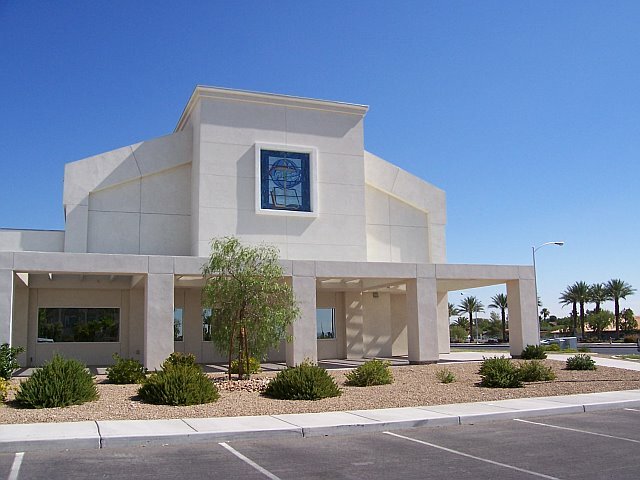 You can get a custom building that iss not at custom pricing. 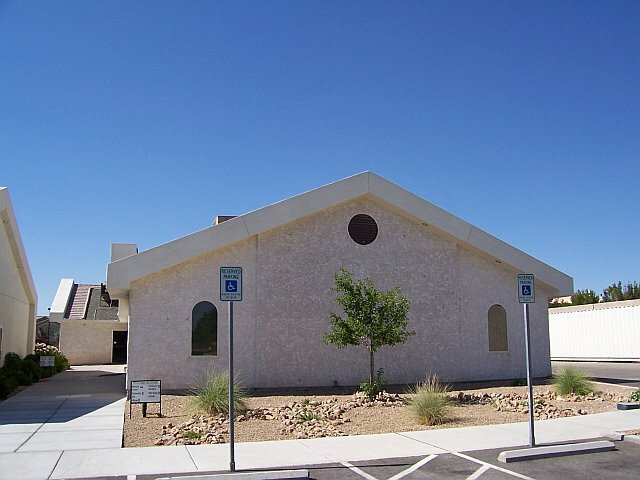 It’s not just cookie cutter buildings like others sell. If you want a custom metal building from others, either the cost is prohibitive or they flat out just can’t do it. E. Ability to side the building with non-metal products. 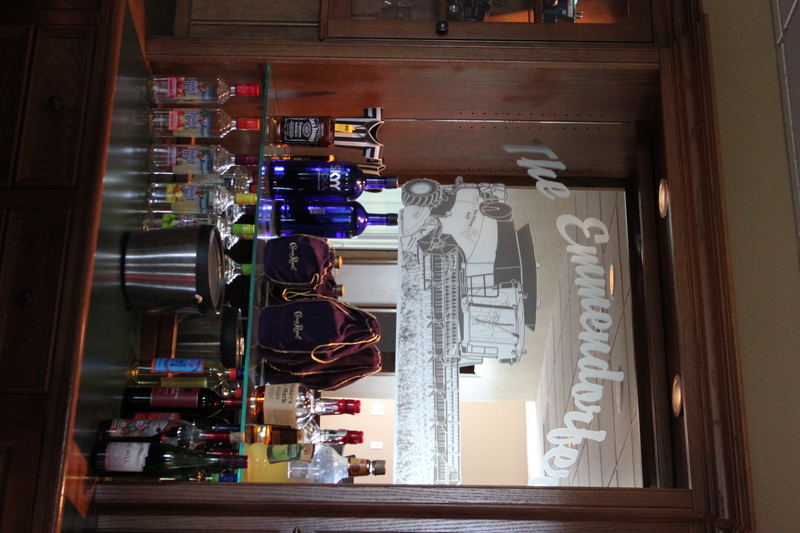 F. Owner-Builder friendly. Enough said on this one.2. Perka Buildings compared to stick (wood) framing. A. No perimeter or interior footings required. Savings on cement. B. 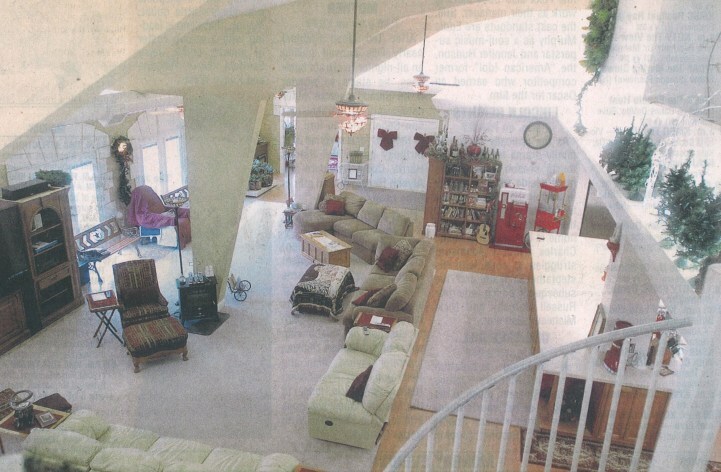 No load bearing walls. Savings. C. No door headers. Savings. D. Ability to put interior walls where ever you please. E. Much less studs to drill for wiring and piping. 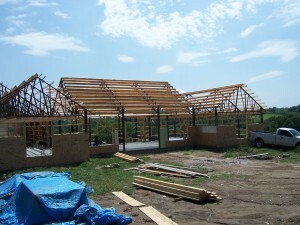 F. Model 4000 Frames can be purchased (in some areas like the east and west coasts) for the cost of wood trusses alone. WOW!!! G. They are really low cost and super fast engineering. H. Major labor savings on construction. 3. Perka vs residential stick building. C. Ability of frames to be built for sloping land. 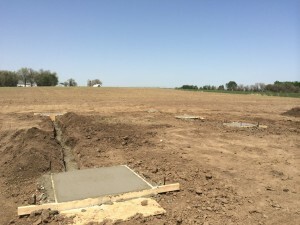 The cost savings here alone on cement footings can be staggering. D. No hassle perimeter decking, second floor balconies, covered porches, etc,etc,etc. Like I said the list above is just a few of the benefits. I know this was not part of this discussion but I can’t stop when I’m on a roll! The biggest thing for me is not to go head to head with other metal buildings. I don’t sell metal buildings if I can help it. They are a pain to put up. A pain to work with. You always need to consult engineering for any type of change. I’d prefer to sell Perka Metal Building frames. If someone just wants a non insulated, plain jane, metal building and they are just price shopping regardless of quality or benefits then that’s going to be a challenge. If they are wanting and understand value, benefits, long term investing, then they just opened the door for Perka Building. You may need to do a lot of prying (ask questions) about their project. I probably shouldn’t use the word prying but sometimes that’s what it is. For myself I’m always truly interested in the persons project, their preferences, their wants and desires. They can tell that when I talk to them. And I can do this with confidence knowing the Perka can back my ability to serve them. The first and foremost thing I truly do is rack my brain to find ways to save them money and be able to show them that on paper. For instance I can space the frames at 15′ and not need to have as many frames as stick buildings. Spacing the frames at 15′ also meant bigger floor joists and roof rafters. Since I’m such a good economist (cheap son of a gun), I decided to see how much it would be for an extra frame so I could use smaller lumber. To my surprise the total price with extra frame was the same as without. Since there was not as much load as the bigger spacing the metal required for the framing was less. Wow, see what I mean — the flexibility allows me to be able to try the different scenarios and come up with the BEST one. I am not locked into to just ONE way!! Two stories. One of a sale and one of a non-sale. Sale: This was actually to another contractor. He was building a residence plus hangers for private airports that has became quite popular around the country. This was actually a building he wanted for himself. He was going to stick build the two story residence with a workshop below part of it… but wanted metal frames for the hanger that was connected. I was actually bidding against other metal truss builders (Perka knock offs) for pricing . When I saw his plans I said “how about I price out the whole building for you with Perka multi design Frames. He said no because the building was already engineered and through planning, and he wanted to stick build because he was a contractor and he thought he could do it much cheaper. He said don’t bother you would be just wasting both of our time. I didn’t listen to him. I priced out the hanger frames but I also priced out the whole project with (custom) Perka Frame. He pretty much just had a un-attractive same height square box before. 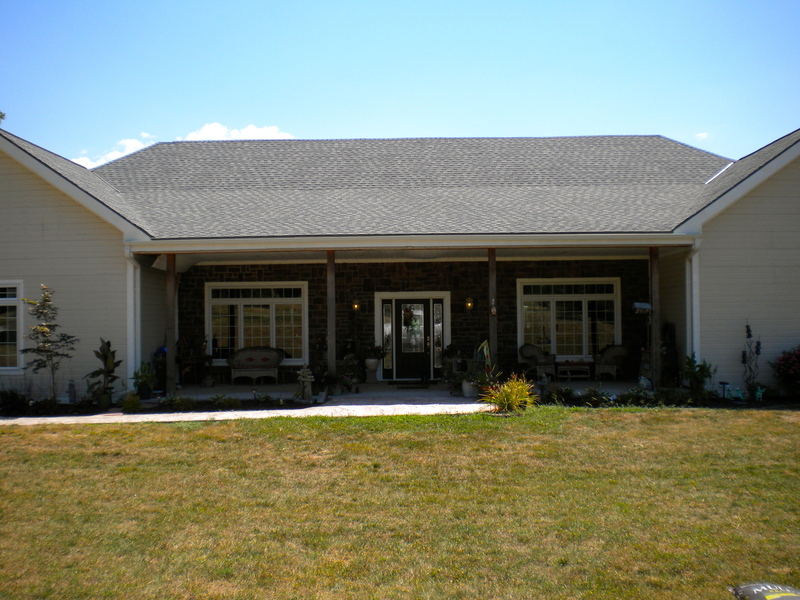 I designed him a beautiful split roof with high windows HOME. With the same footprint he gained 900 square feet in his second floor living quarters plus a added second floor observation deck to oversee the runway. 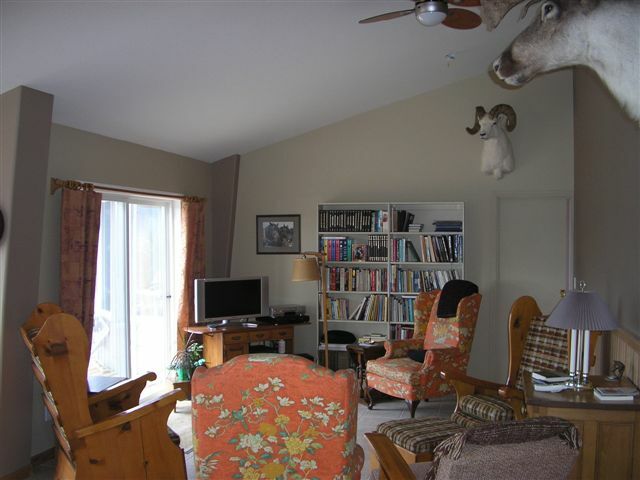 He had clearer shop space below (less load bearing posts). I also showed him where and how he would save money and labor over his design. Once he saw my idea in a colored pencil drawing I made (just the shear better looks of my building design sold him on it I believe), he had to meet me in person to go over it. After we met and saw what I was saying was true, he scrapped his project. 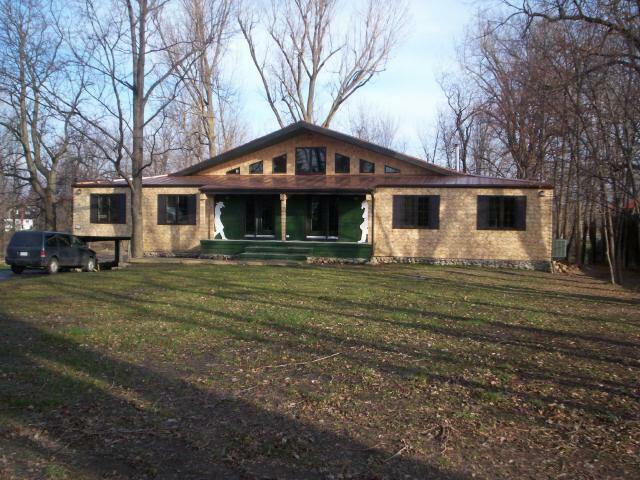 He tried to shop other building frame manufacturers to try to get a better price than mine. But nobody else he contacted would not even entertain putting a similar package together. He was sold! Sometimes it pays to show a person different ideas, even if at first they are set in their ways. He is extremely happy with his building now and told me it went together without a hitch!! 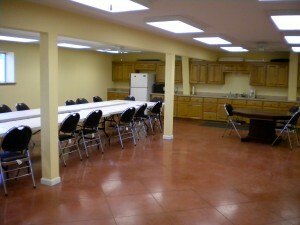 For more info – visit www.perkabuildings.com, email perka@teamperka.com or call 800-467-3752. 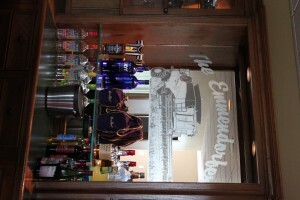 Welcome to our Blog… again. Some of this really started about 7 years ago now. 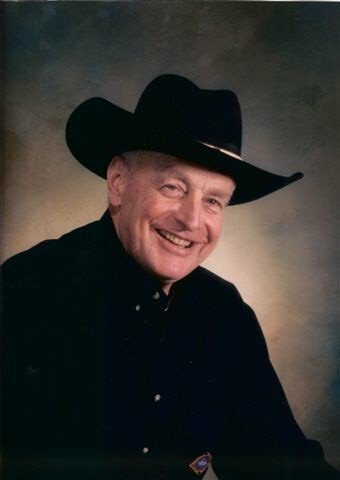 Our founder, long time leader and most friendly mentor to so many people, passed away suddenly, and very astonishingly, leaving a fairly HUGE void in many lives. I for one, his son, his business partner of 30 years, an avid student of his wisdoms, guidance and leadership and most importantly a LIFE LONG friend, was virtually devastated. I not only lost my “dad” who I treasured and loved, I lost three other important “personalities” as well!!! If you’ve ever experienced a loss of a very close and dear loved one (similar to this), you no doubt know that one never really gets “over” it. Sure time heals some of the pain… it can, however, be a frequent struggle keeping the mind from falling into the pain traps… – but, what doesn’t kill us, makes us stronger, right? … and it is… still. I, and we as a Team, did whatever we could, with whatever resources we could manage, to cope, adapt and persevere. The challenges since then have been quite heavy at times indeed, after all, we lost our “strongest” carrier. So we had to reach out, step up and dig deep! As a collective of family, friends, caring neighbors and even the occasional kind angelic stranger, we were better able to handle the loads and are still here today. Thriving. Again. Much like our buildings, (which is as much a PHILOSOPHY as it is STRUCTURE) … we put into practice the virtues and positive product ideals of synergy, optimism, honesty, appreciation, faith, integrity, efficiency, accuracy, quality, durability and flexibility! And never will we compromise on these. While we may be able to give you all the various options in quality and price, to make a well informed choice – we will always first put forward our absolute best, and do so with all the conviction and faith that my dad had when he came up with it and all that his loyal team can put behind it! Now, why am I saying we could really be feeling frustration right now? Well if you’ve been following our blog on our main website (http://perkabuildings.com/blog) over the past few years you will have noticed that about 6 month ago – it disappeared again — for a 2nd time!! While the first time was apparently we were “hacked”, compromising certain security levels and we had to “amputate” the blog to save the site! This time it was a site rebuild which somehow LOST the blogs…. again. With that – we lost some 50+ blog entries dealing with all kinds of “building”, motivational, anecdotal and even the odd socio-political issue. So for now, as we begin the task of reposting the blogs, I just want to extend to you a warm welcome (or welcome BACK), and to also express our Team’s sincere and most humble APPRECIATION for your interest in not only our product and our company, which we truly believe will really SERVE you well, for a multitude of reasons, but also about being and doing the RIGHT thing… After all – that is the only rule any successful person, business or organization ever lives by…THE GOLDEN RULE!